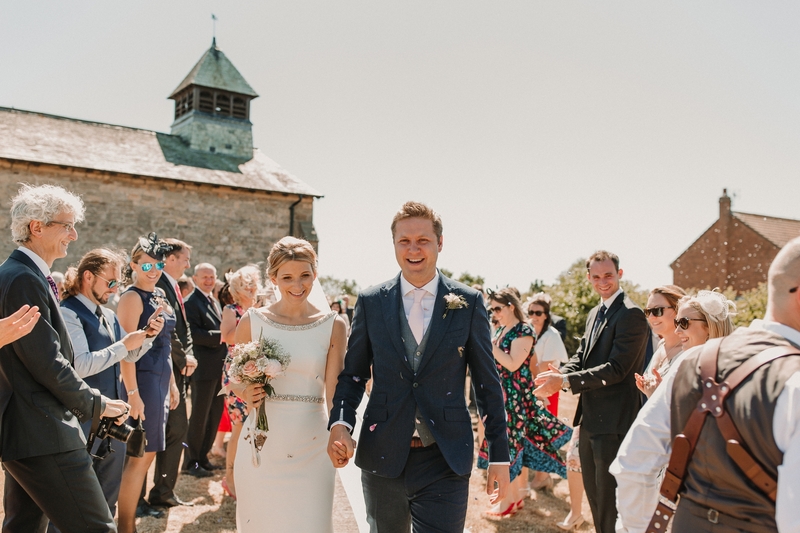 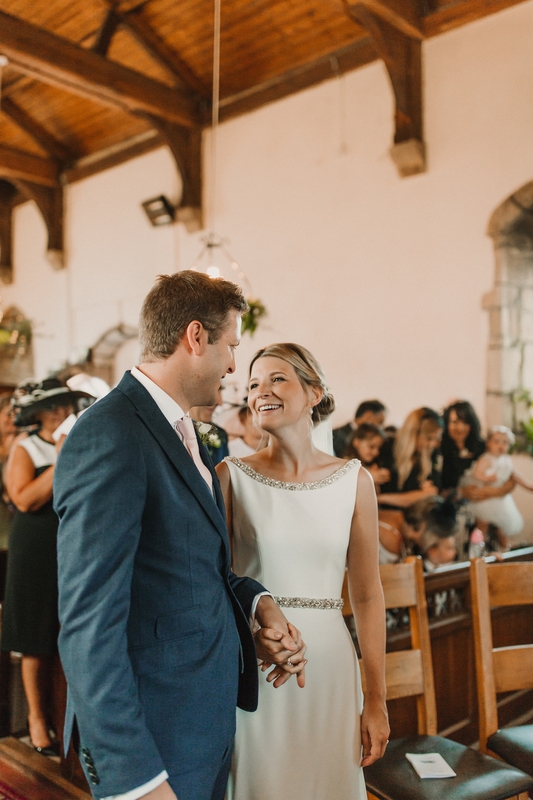 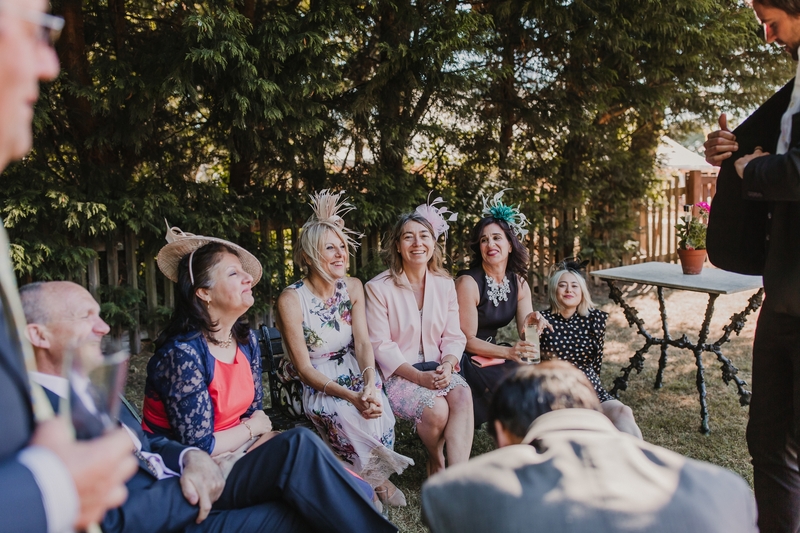 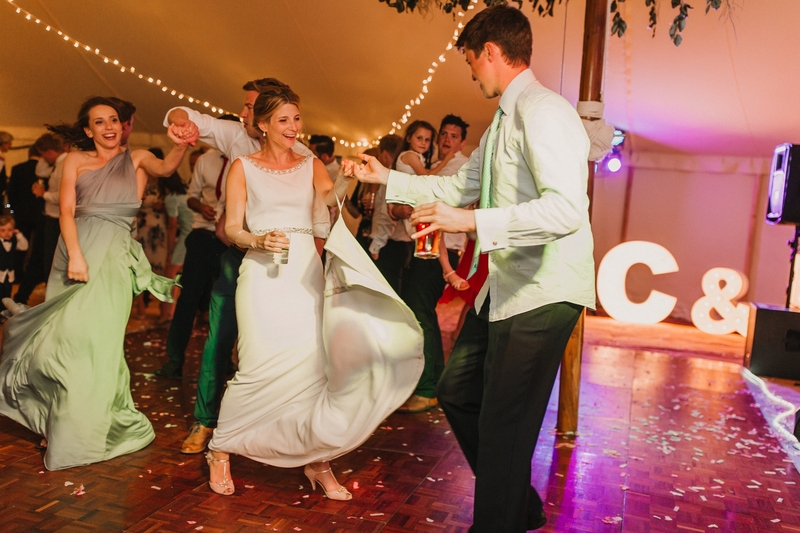 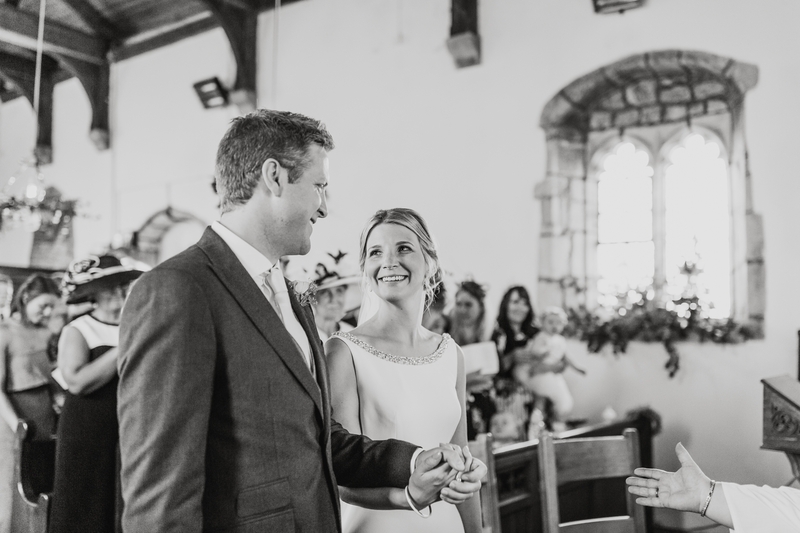 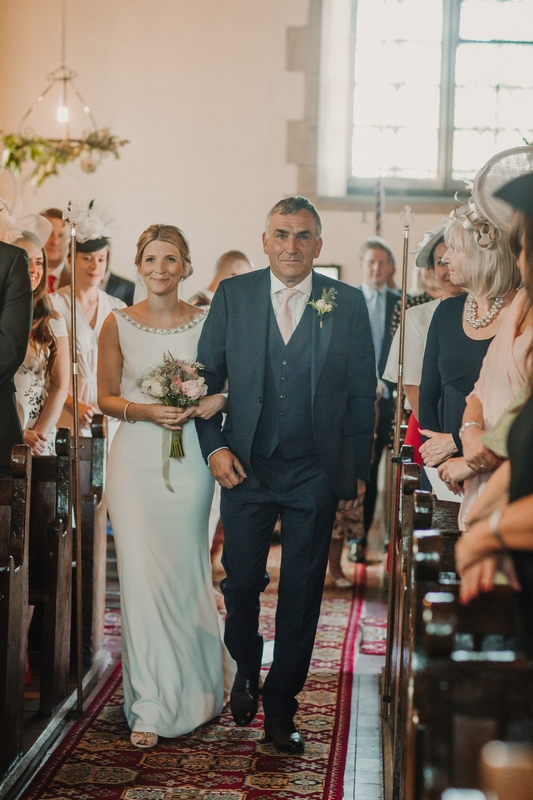 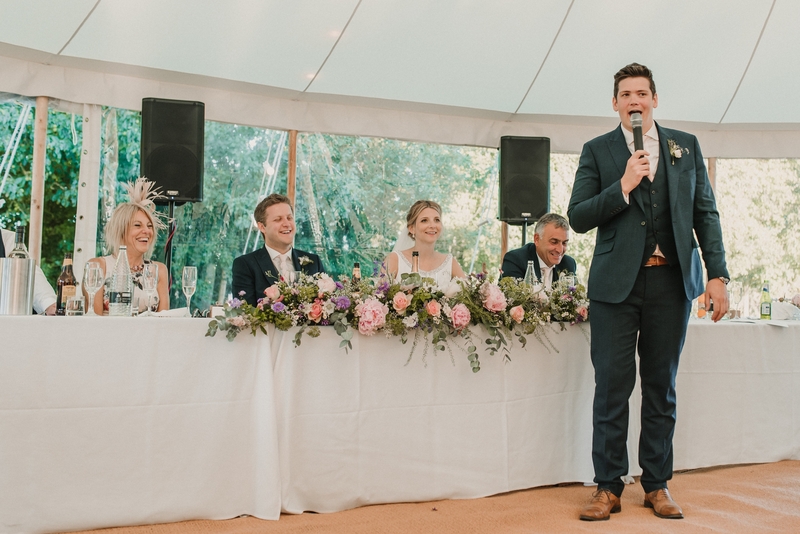 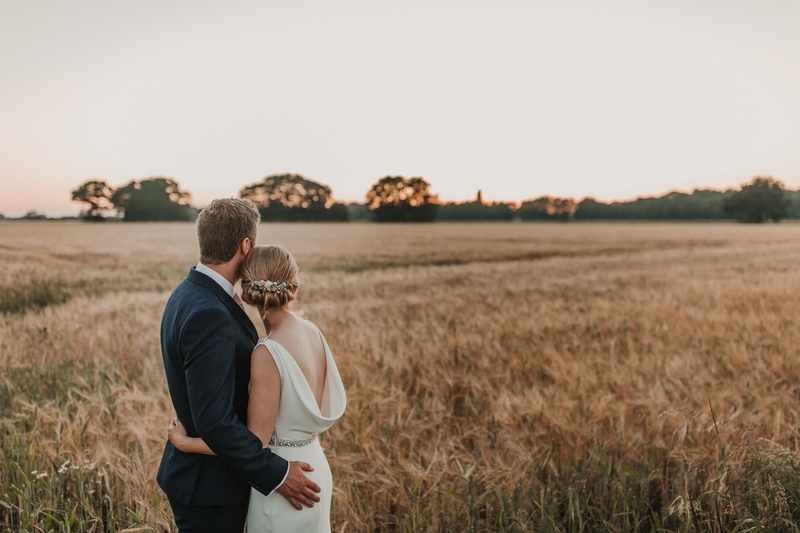 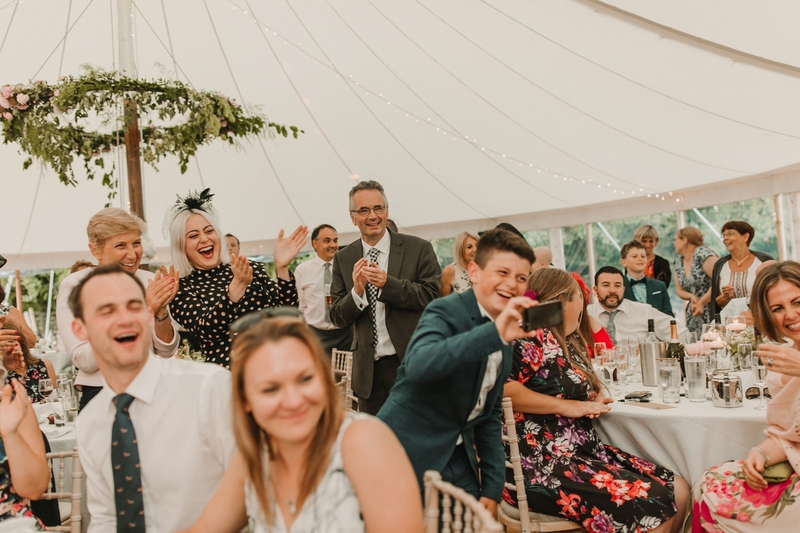 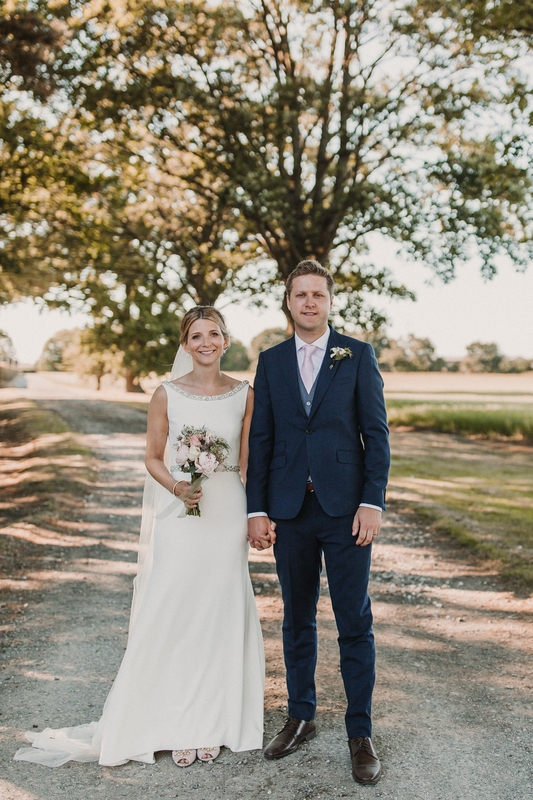 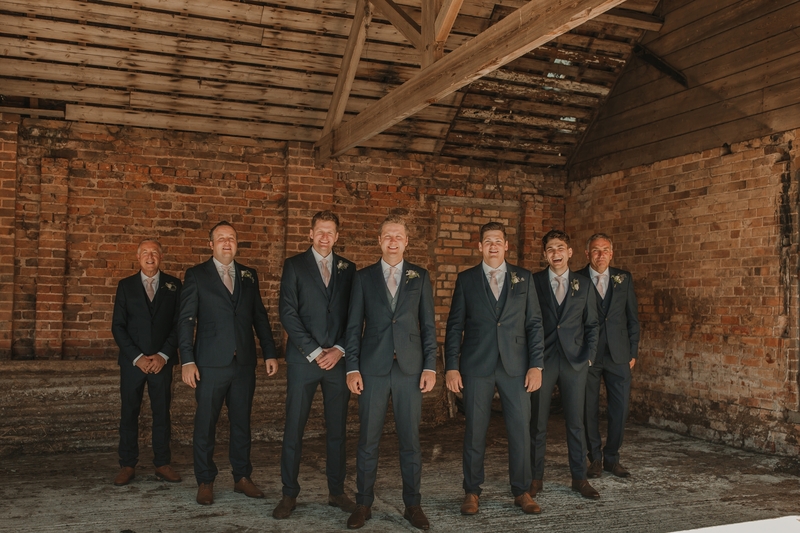 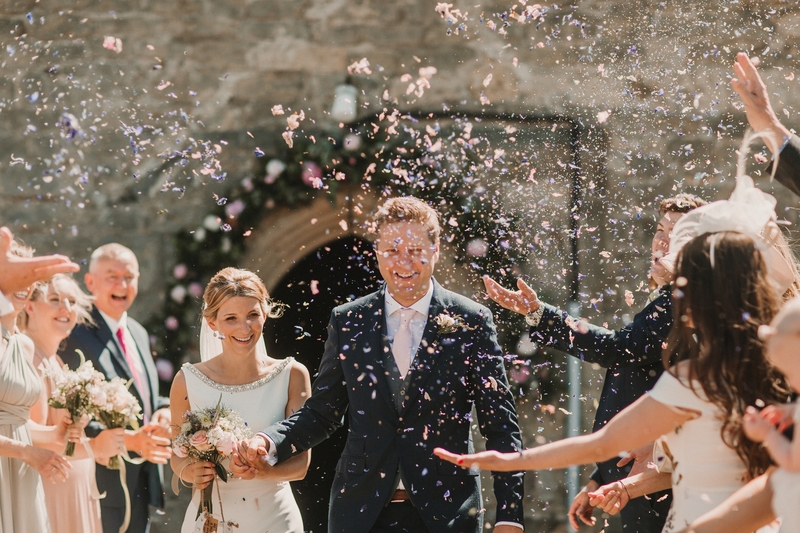 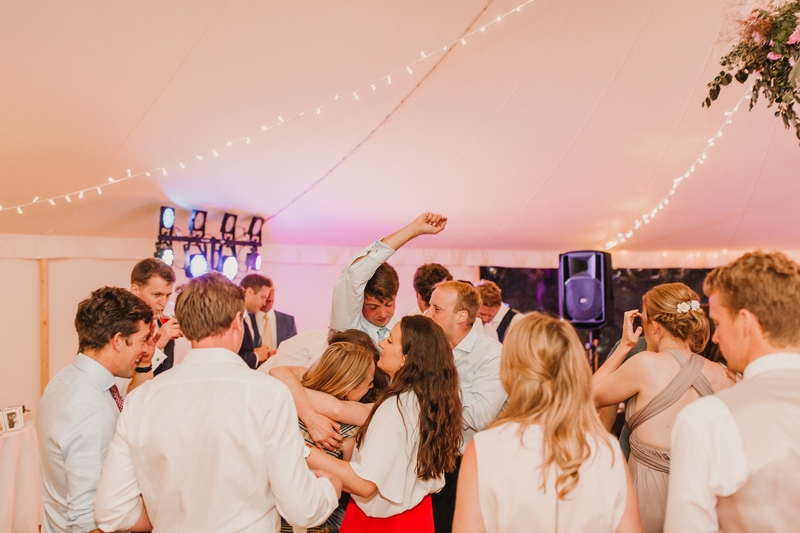 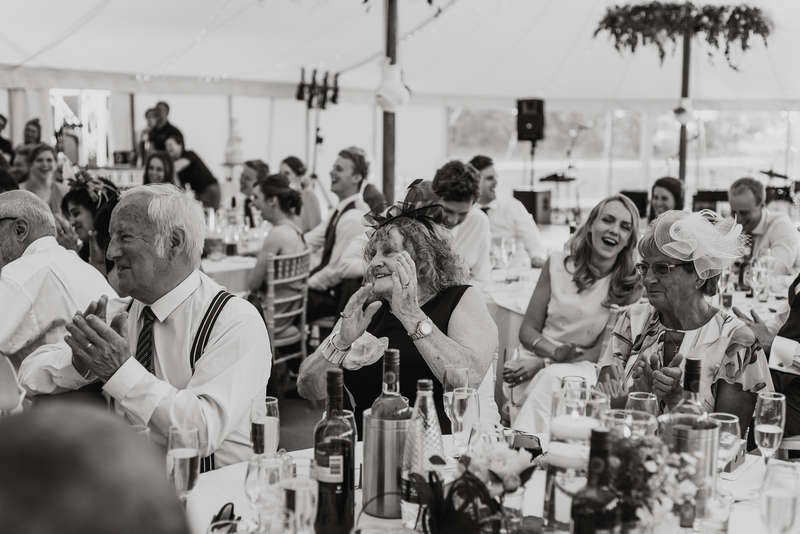 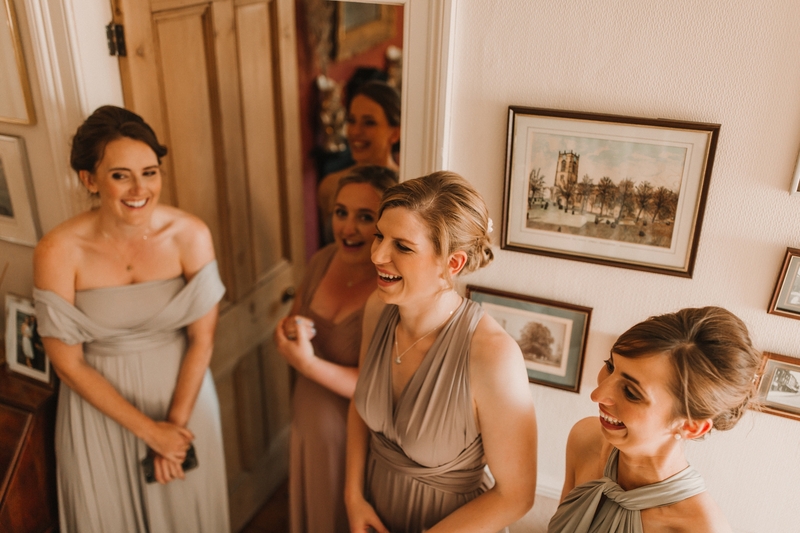 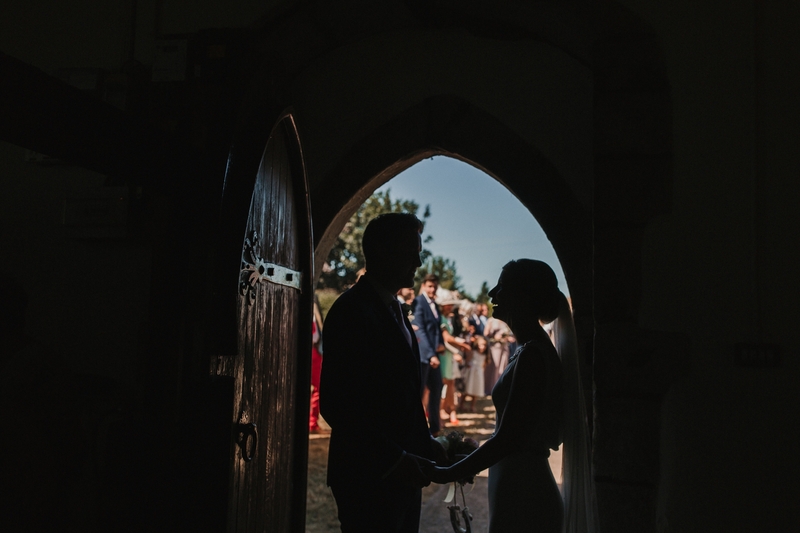 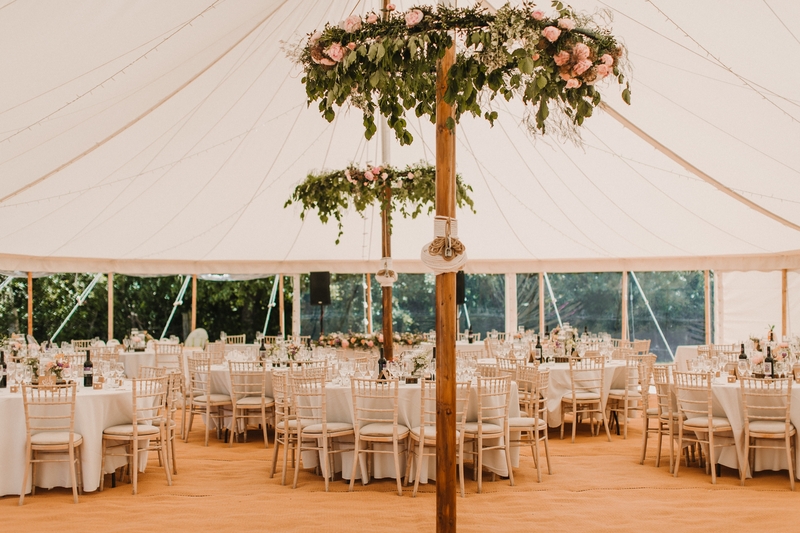 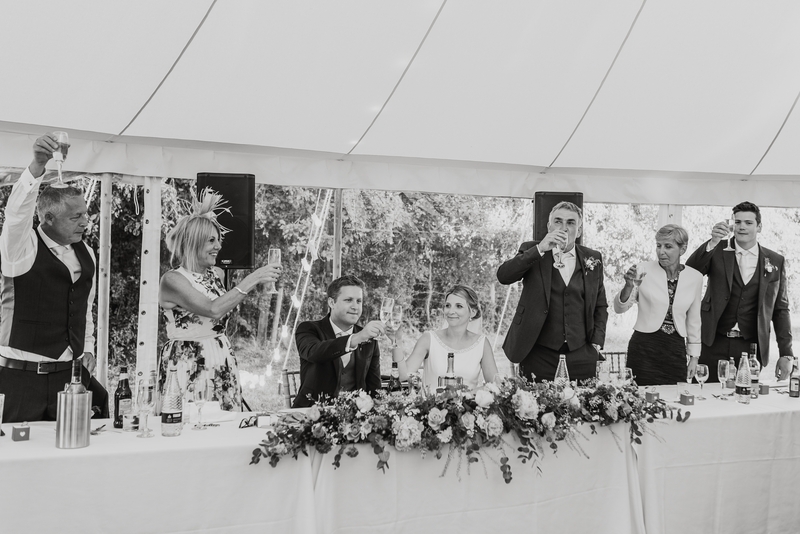 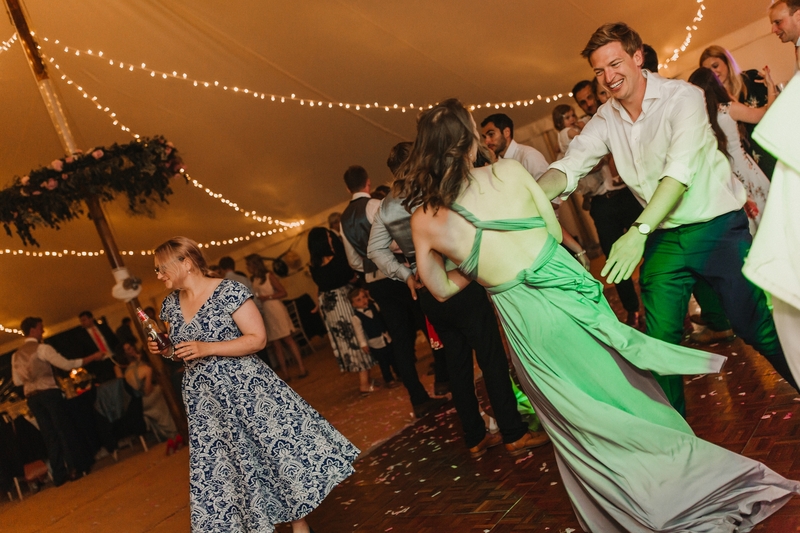 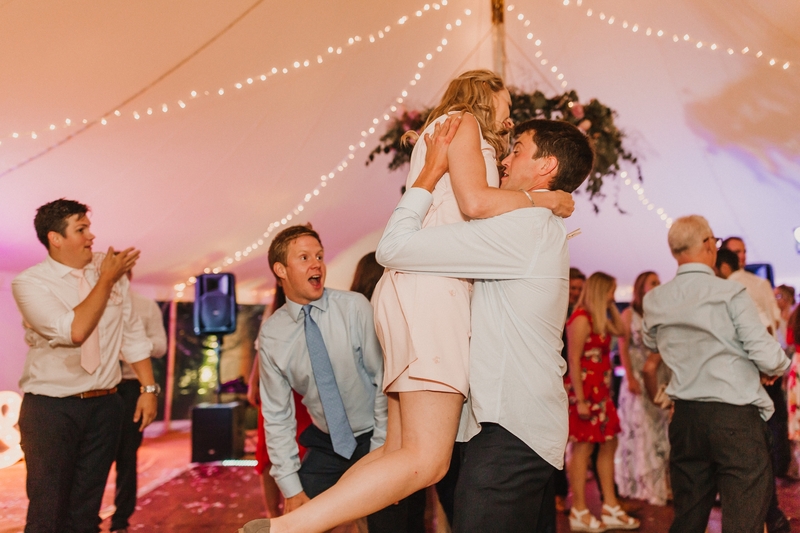 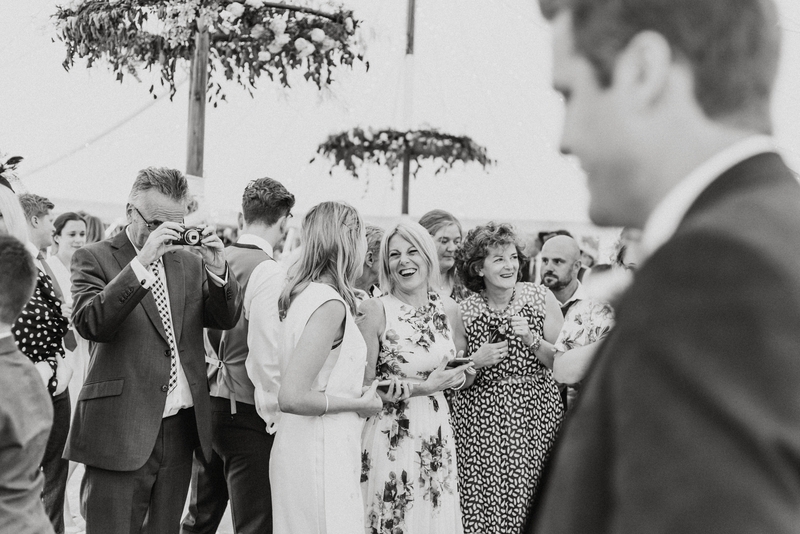 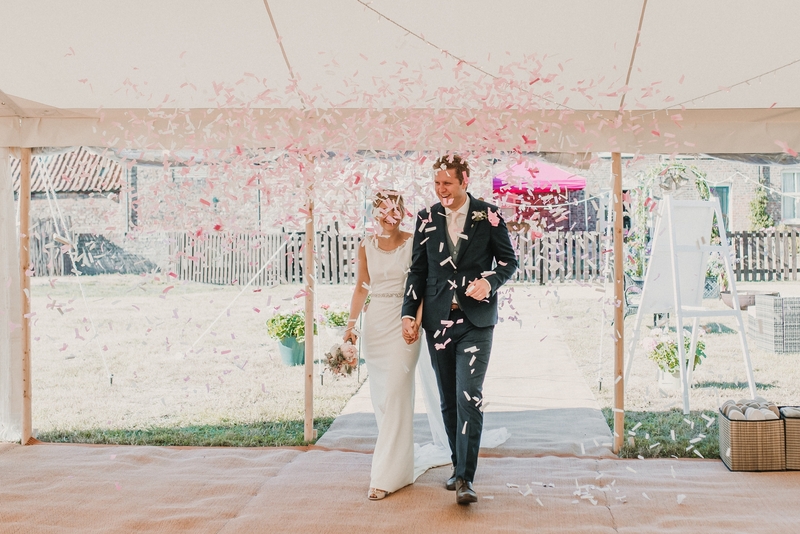 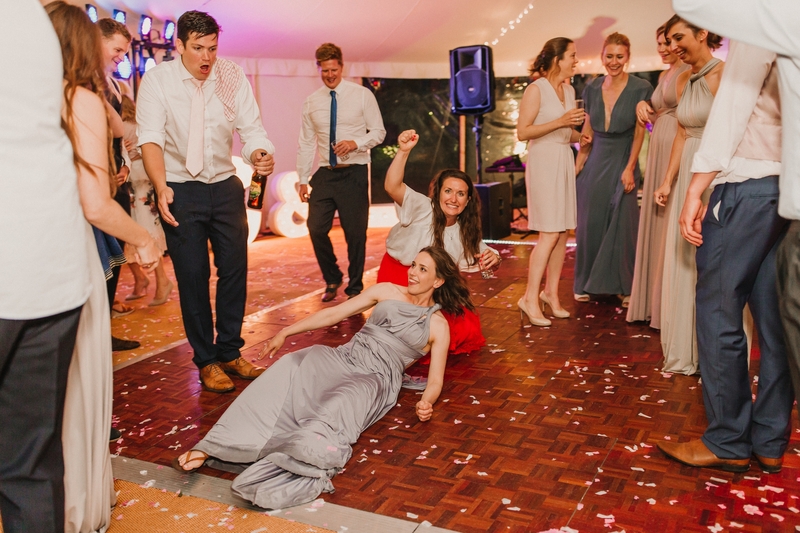 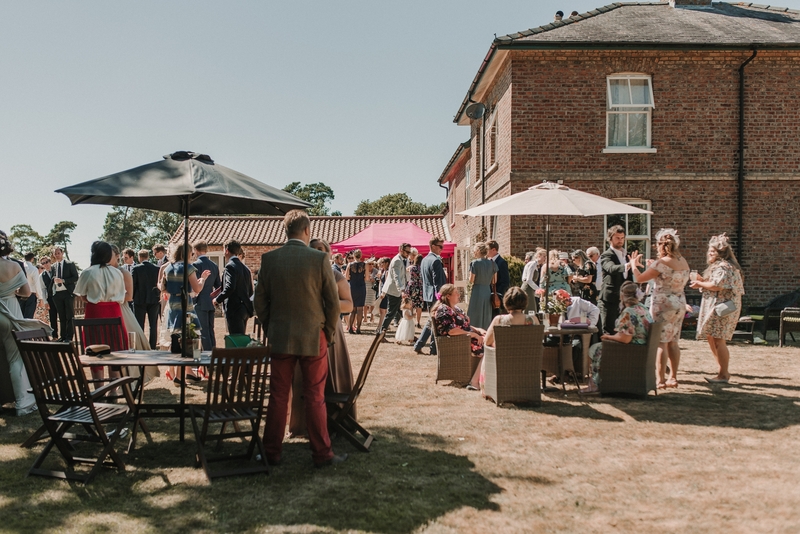 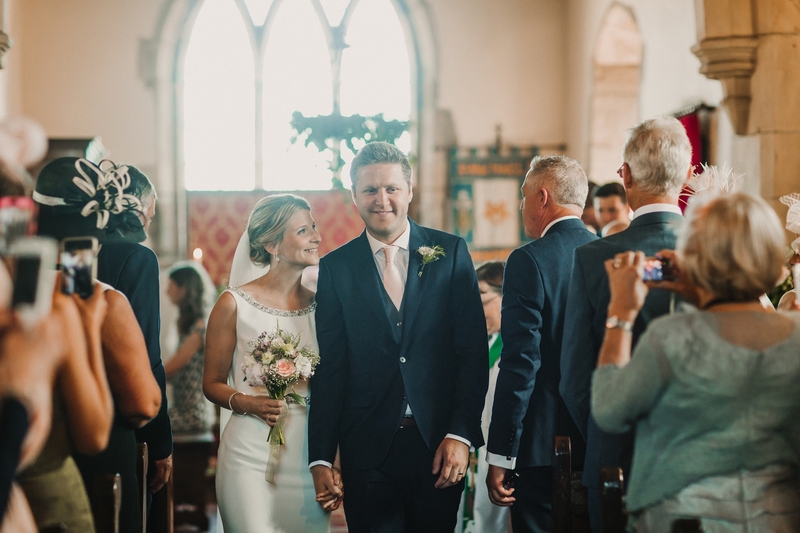 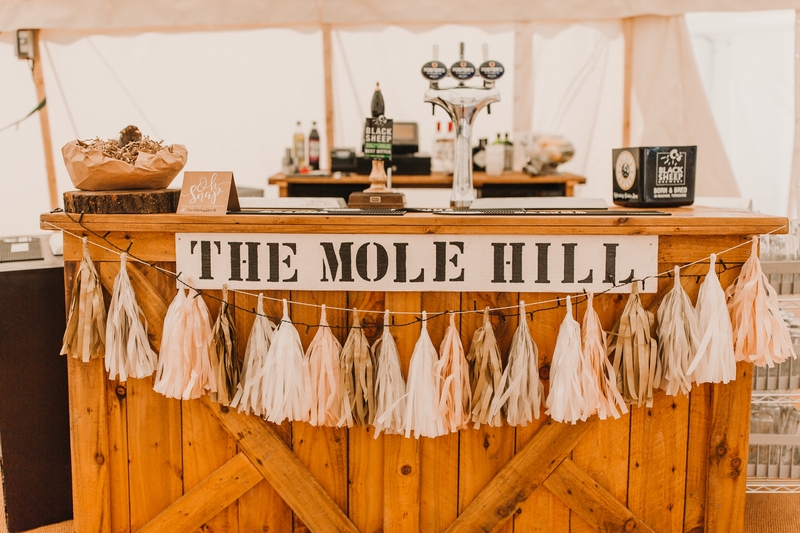 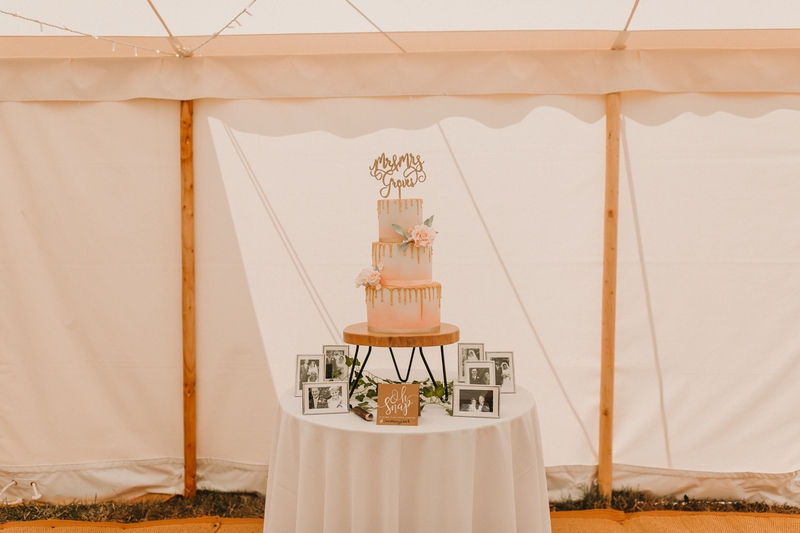 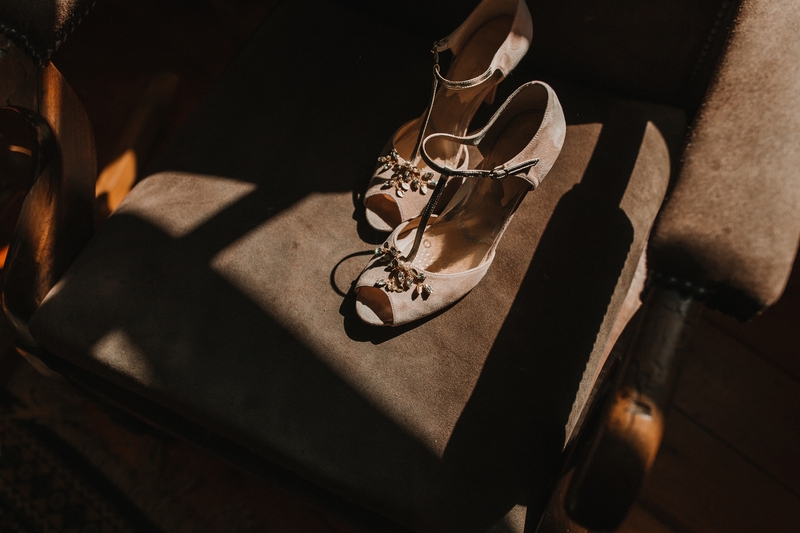 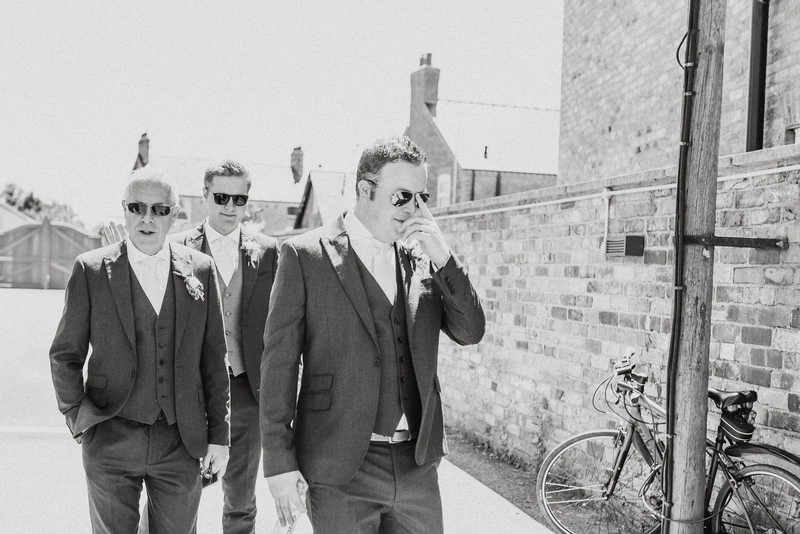 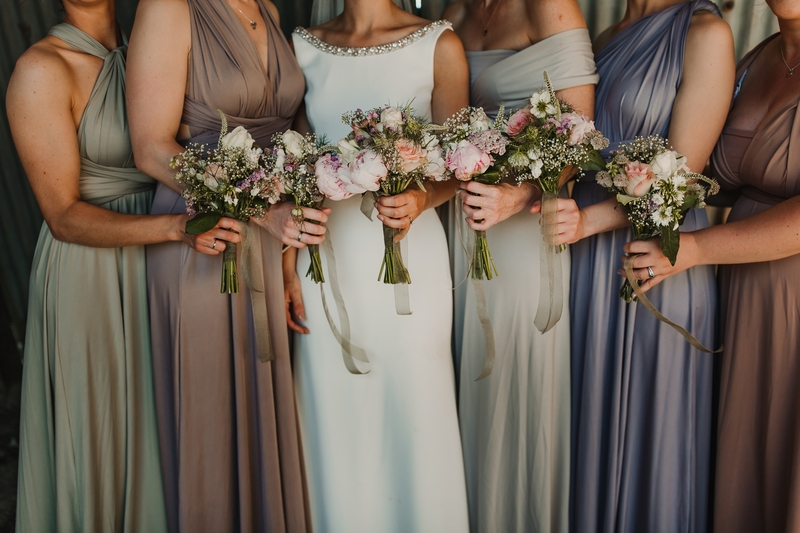 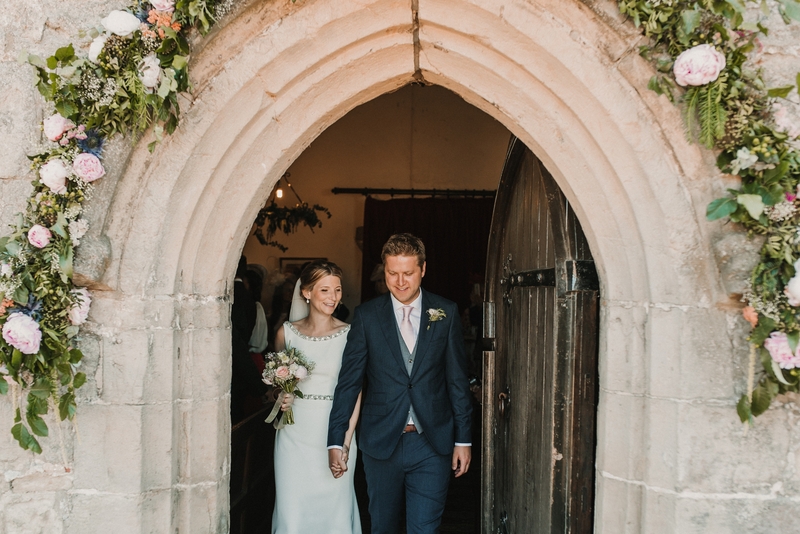 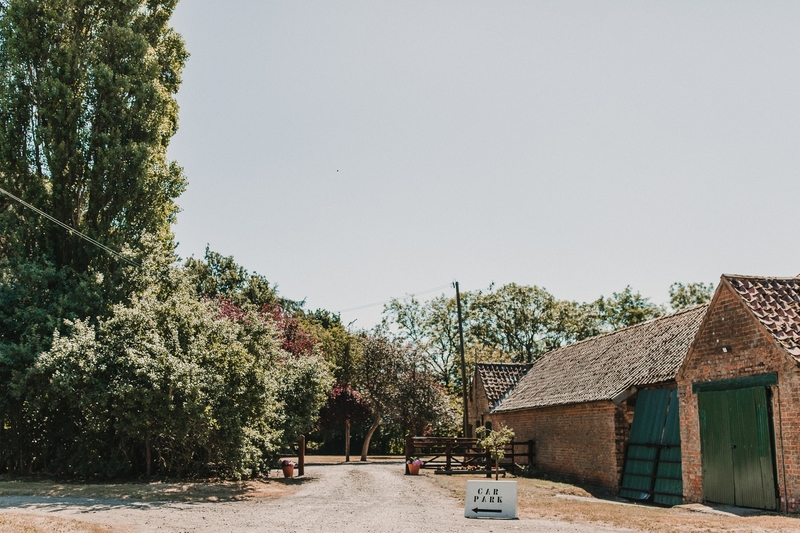 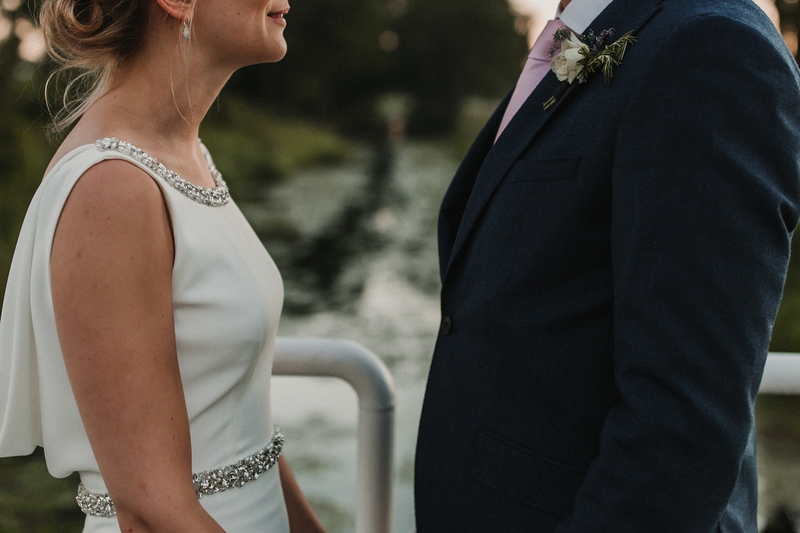 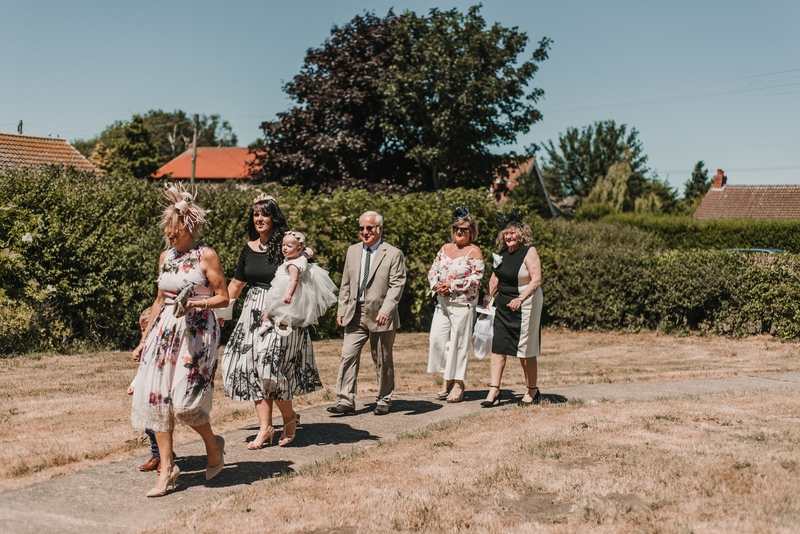 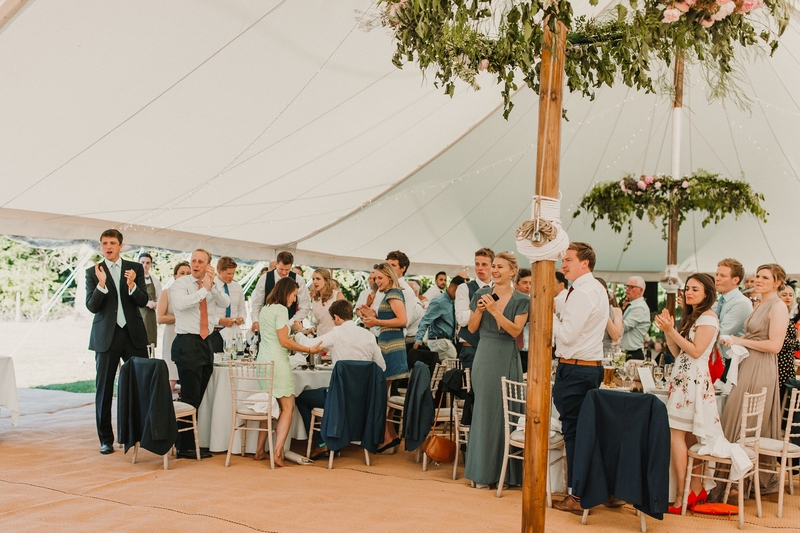 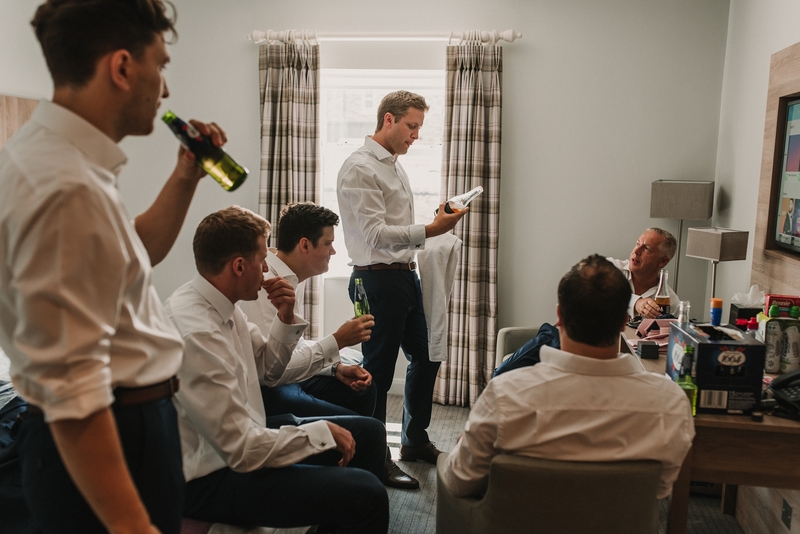 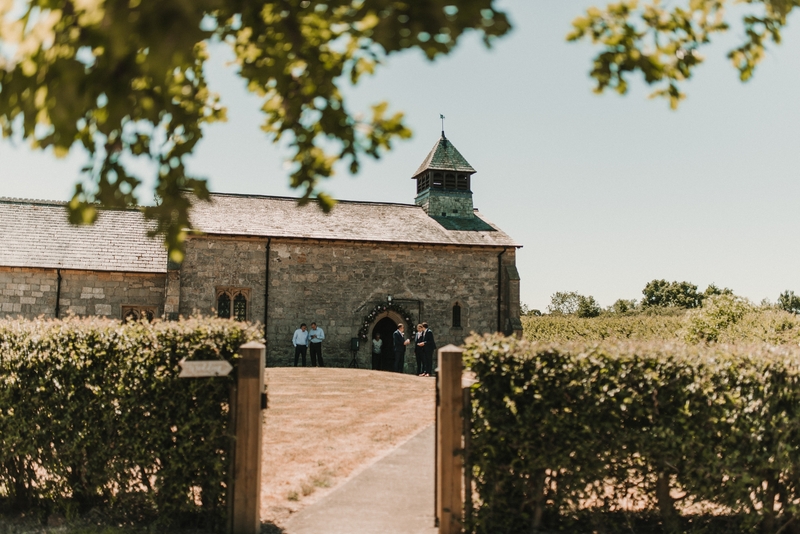 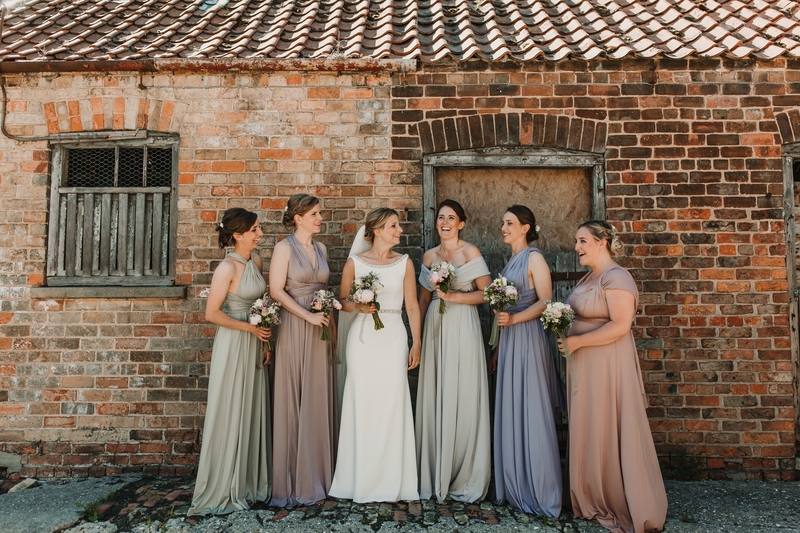 Firstly, Christina and Lloyds’s relaxed York farm wedding took place in at the end of June at the beginning of what would become an Indian summer for the UK. 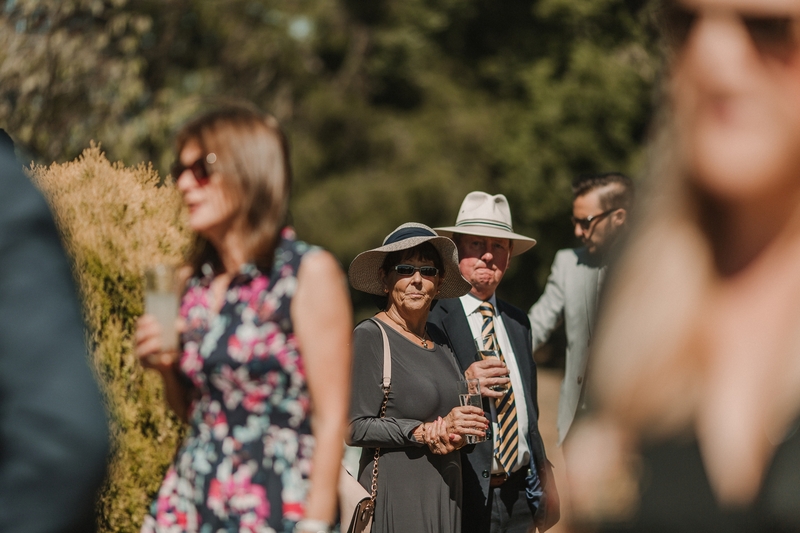 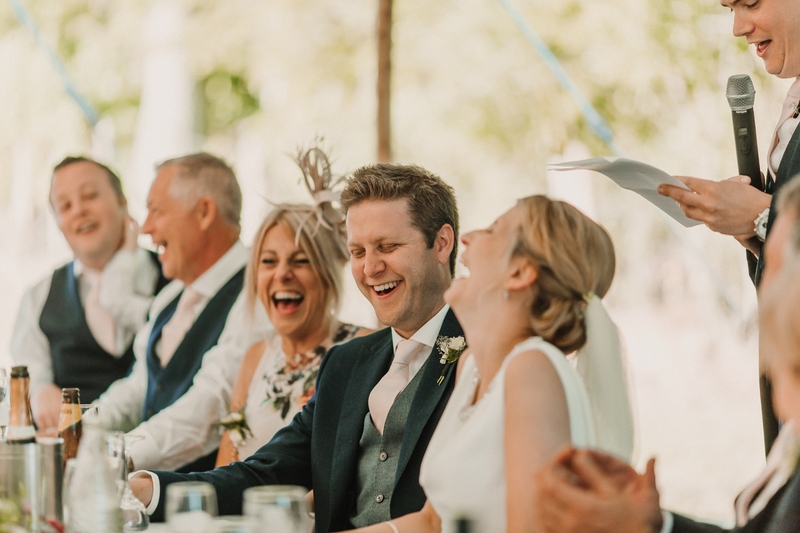 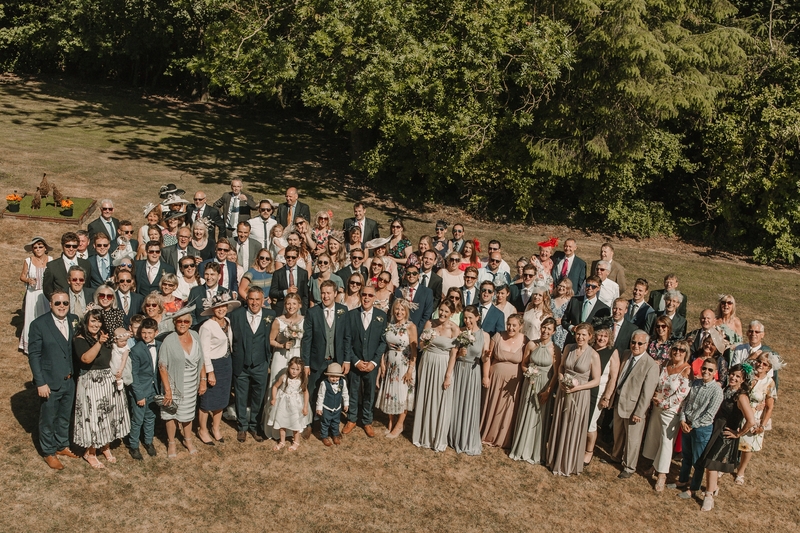 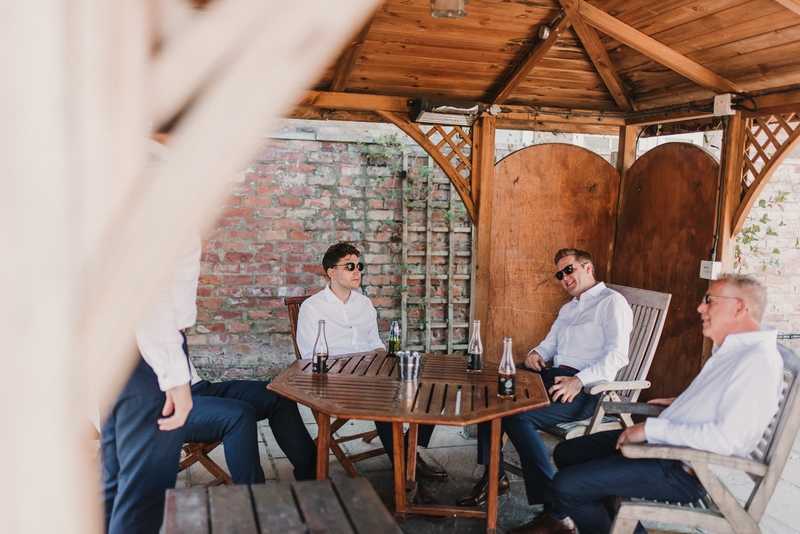 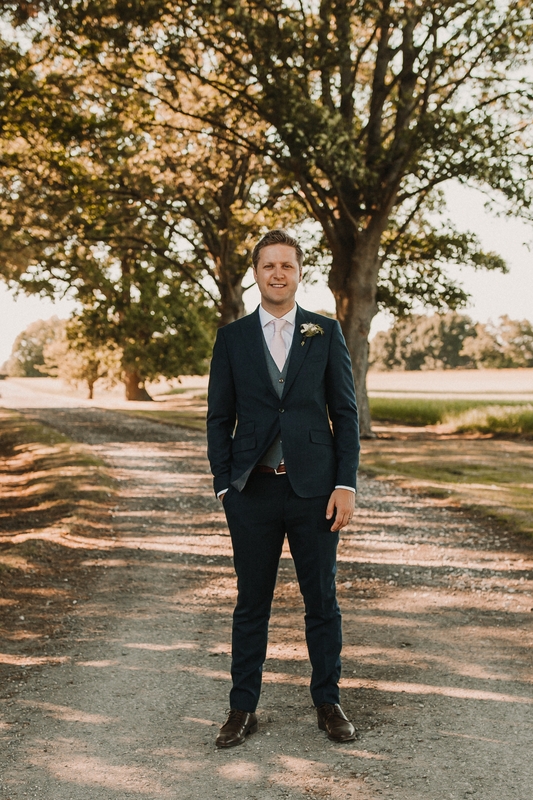 The sunshine and weather was glorious and the perfect setting for what would be an amazing, chilled wedding with all of their family and friends. 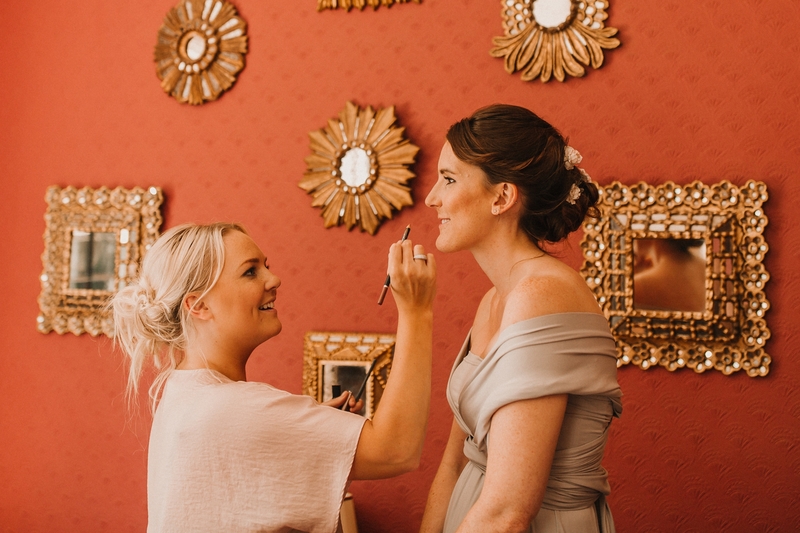 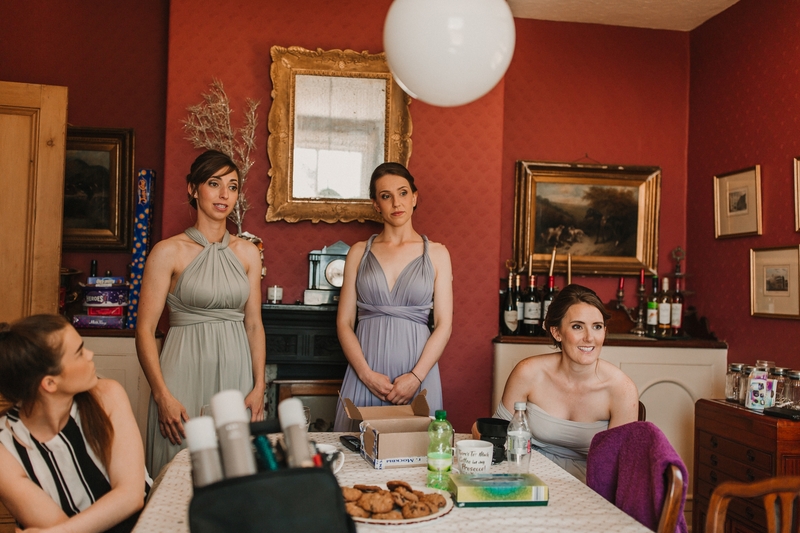 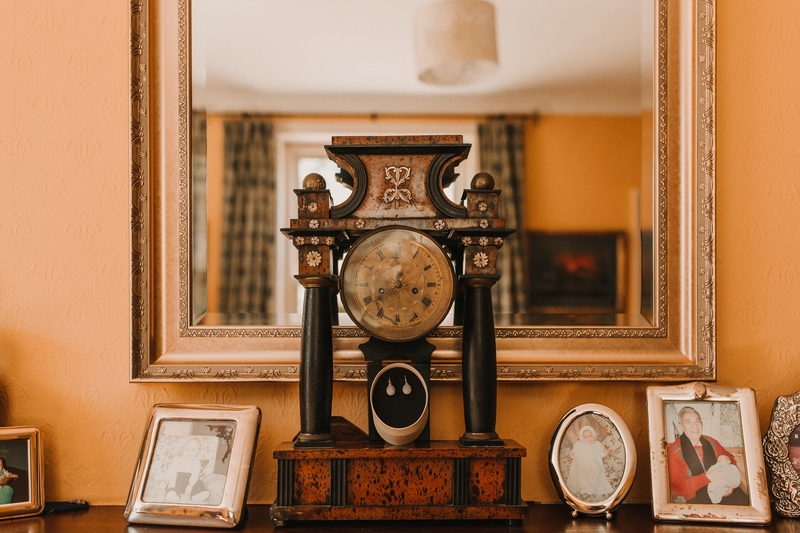 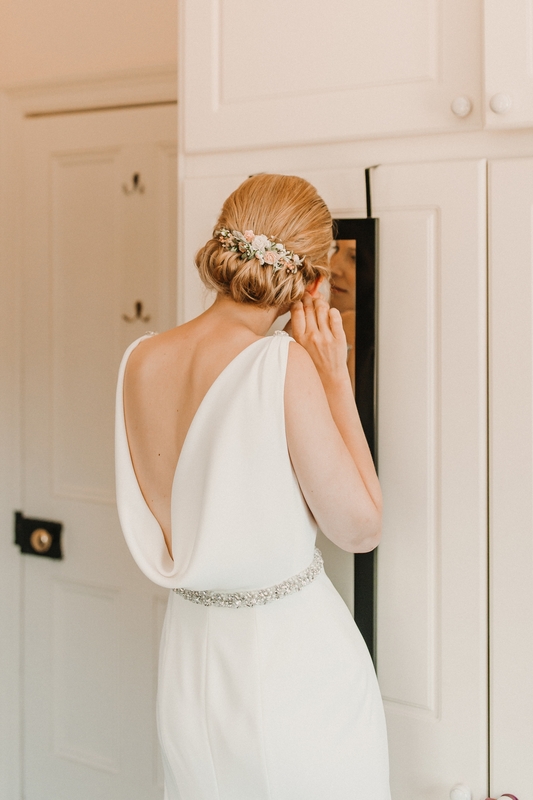 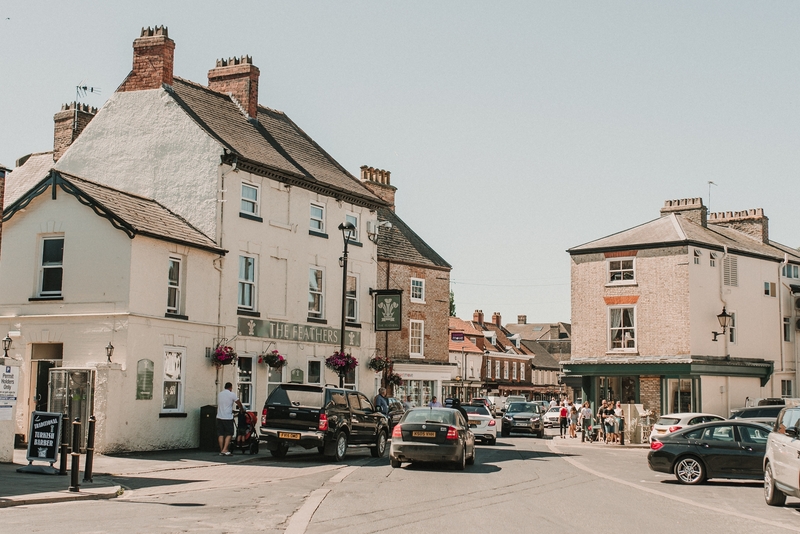 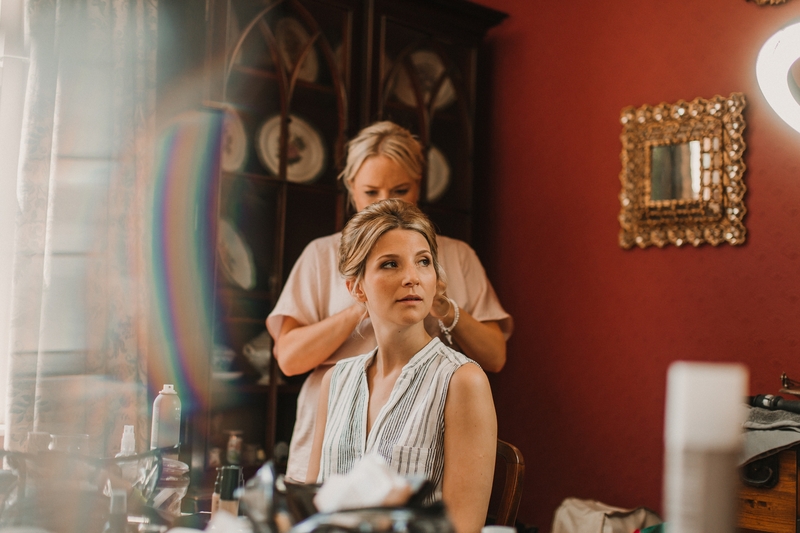 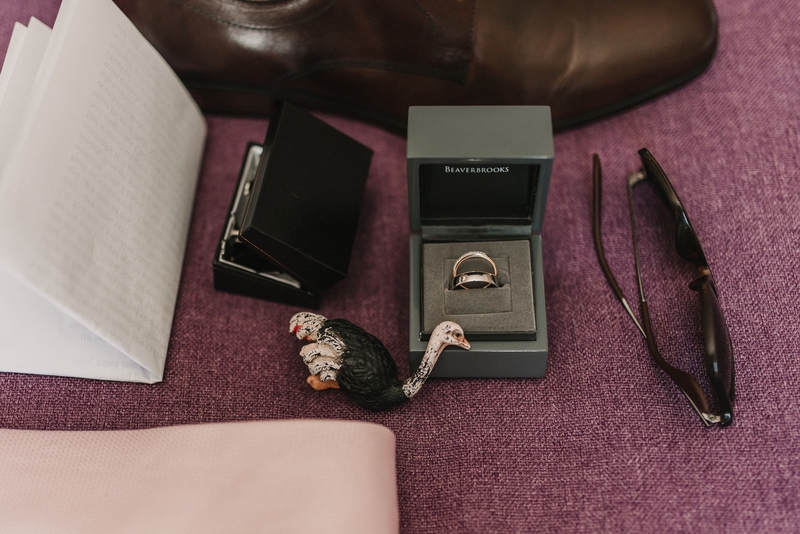 Christina got ready at her parents’ home in her old room growing up, whilst Lloyd started getting reading at The Feathers located in the nearby town of Pocklington. 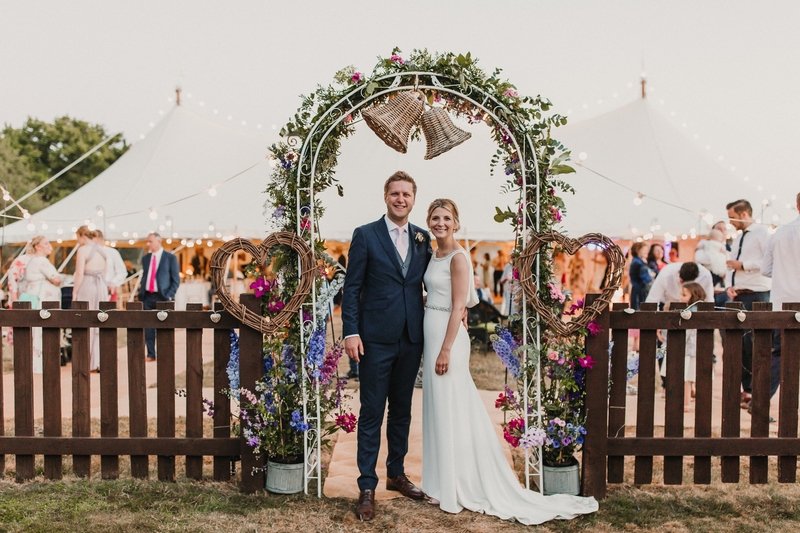 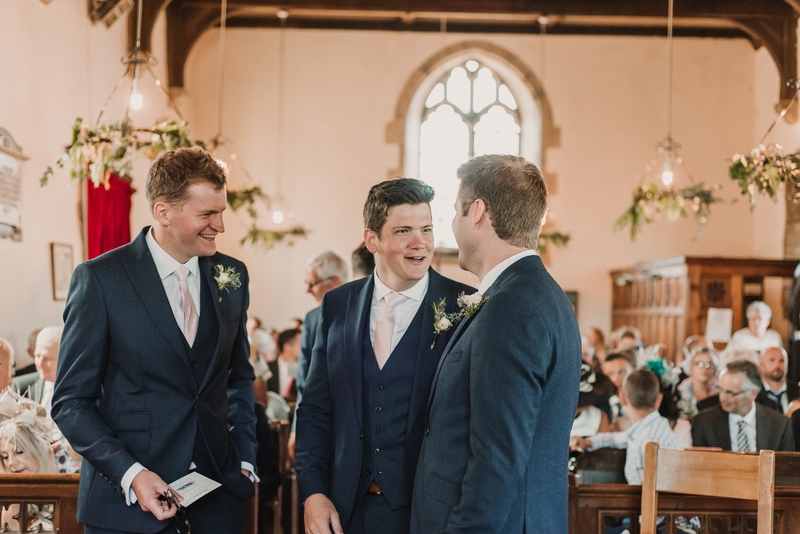 They both made their way over to St Michael’s Church in Thornton before all the guests made their way back to their family home where they had a beautiful marquee in their garden. 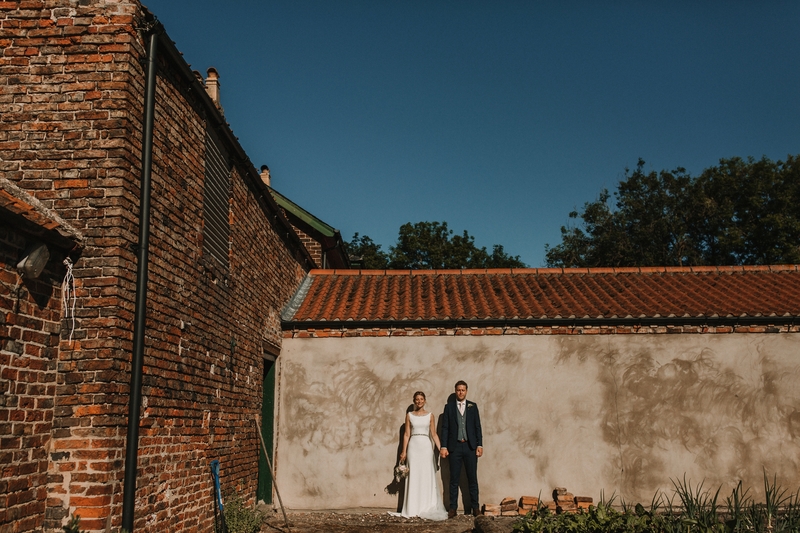 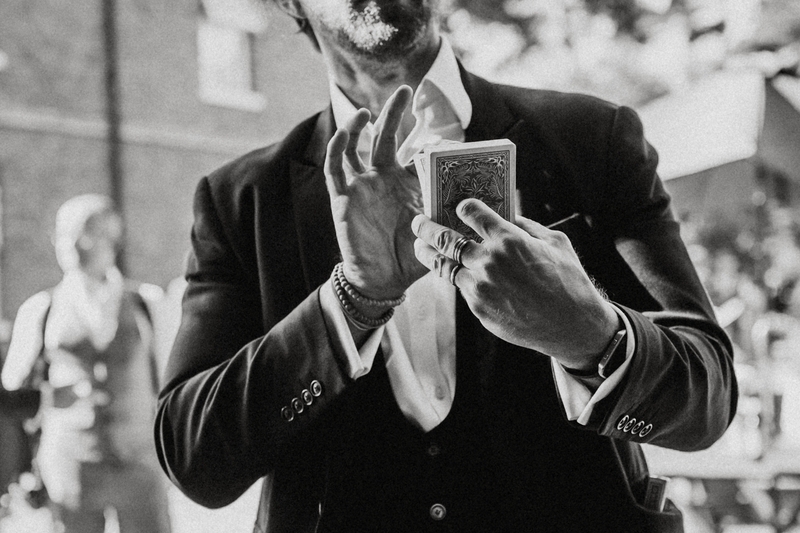 Their York Farm Wedding continued on at their family home with reception drinks and a magician, followed by speeches and food. 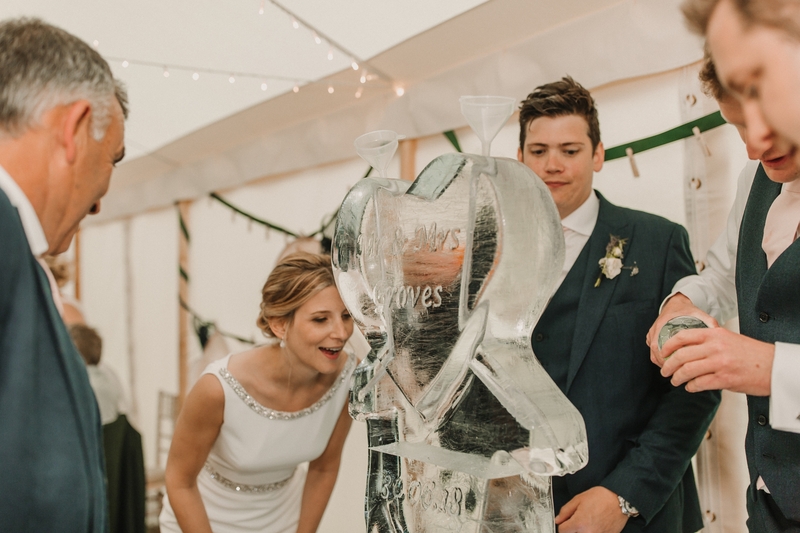 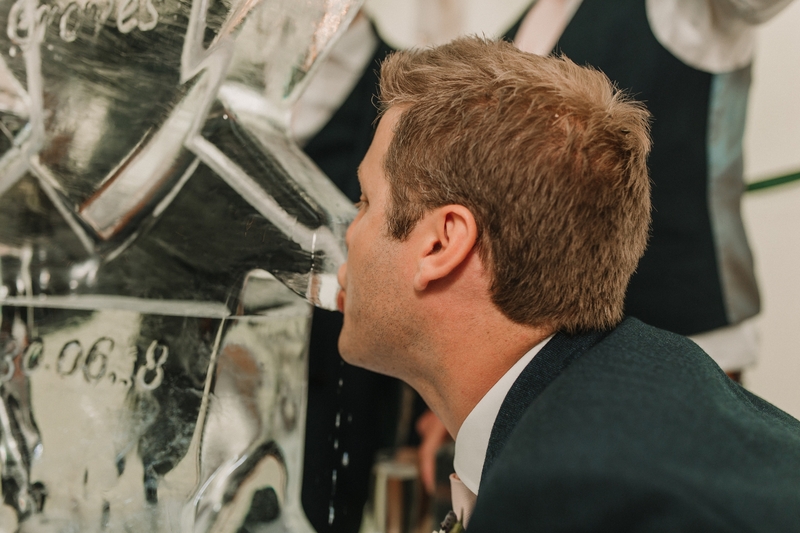 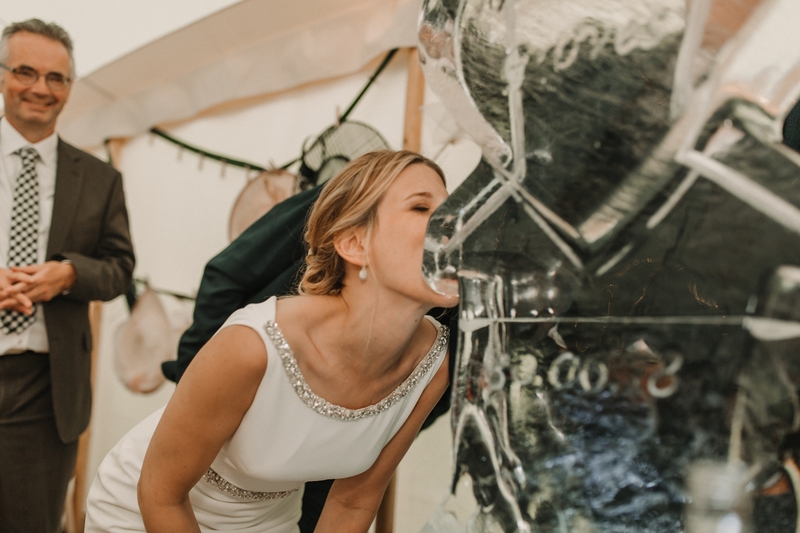 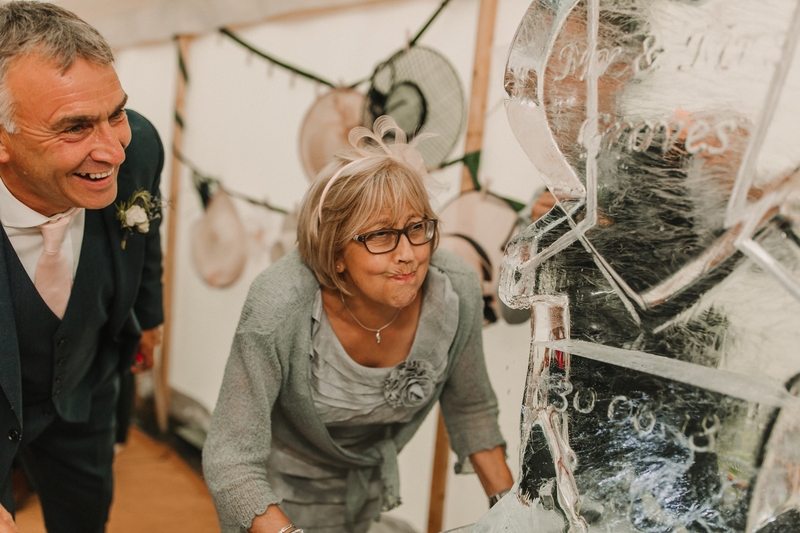 One of the highlights of their reception had to be the vodka luge which arrived just before the speeches. 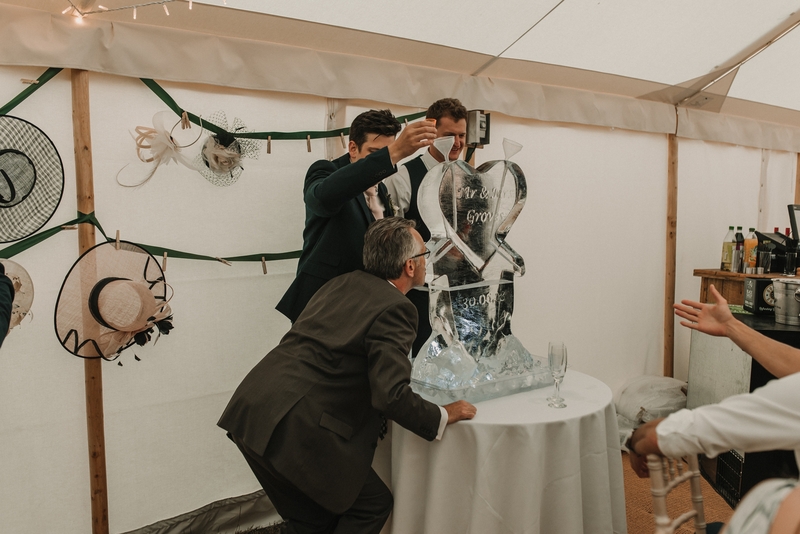 Vodka shots off an ice sculpture is not something I’d seen before at a wedding, but it definitely helped get everyone up and ready for dancing in the evening. 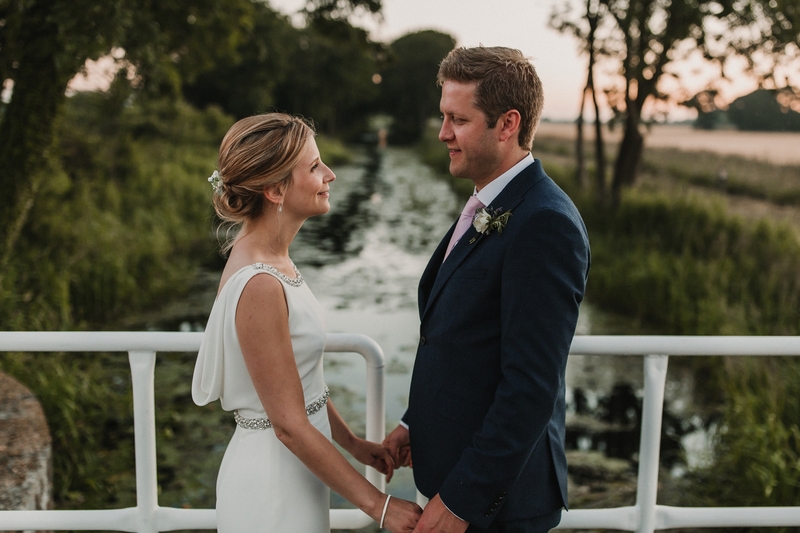 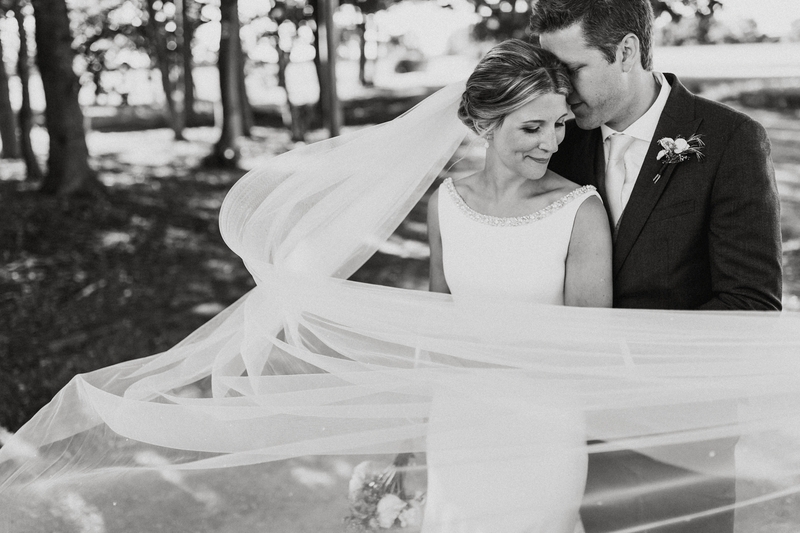 Both Christina and Lloyd are veterinarians and live in the North East but Christina’s family is originally from York, so their wedding venue fitted their personalities perfectly. 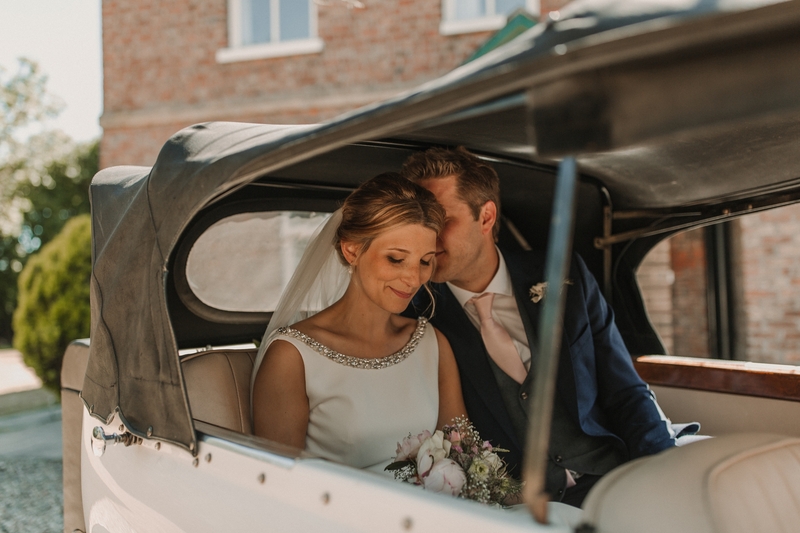 They are such a chilled couple and so having their reception at Christina’s family home just seemed to suit everything they wanted for their wedding. 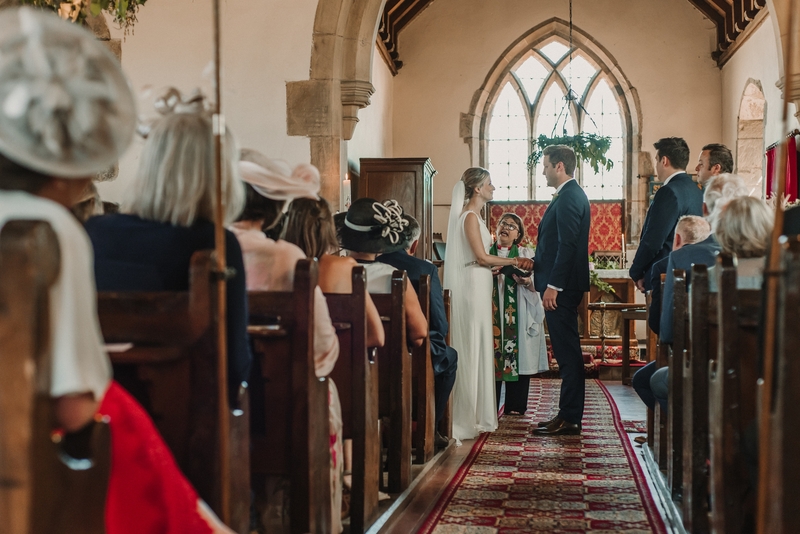 The church they were married in wasn’t too far from home and so there was no stress at all throughout the day – my perfect kind of wedding to photograph too. 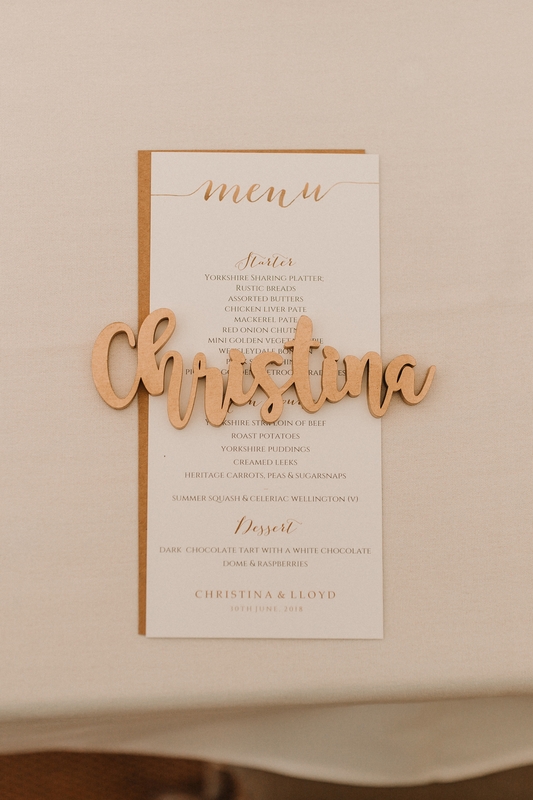 The theme for the wedding was relaxed and elegant. 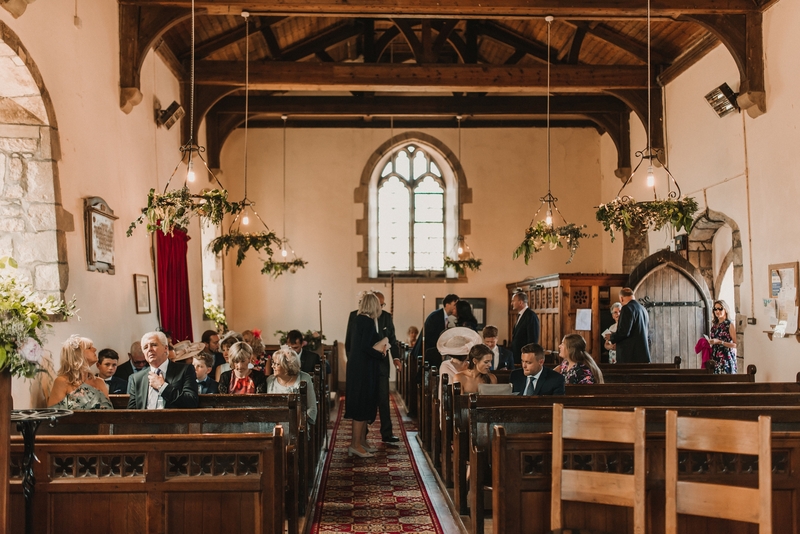 The floral installations at the church, marquee and in the garden looked absolutely amazing created by Fieldhouse Flowers. 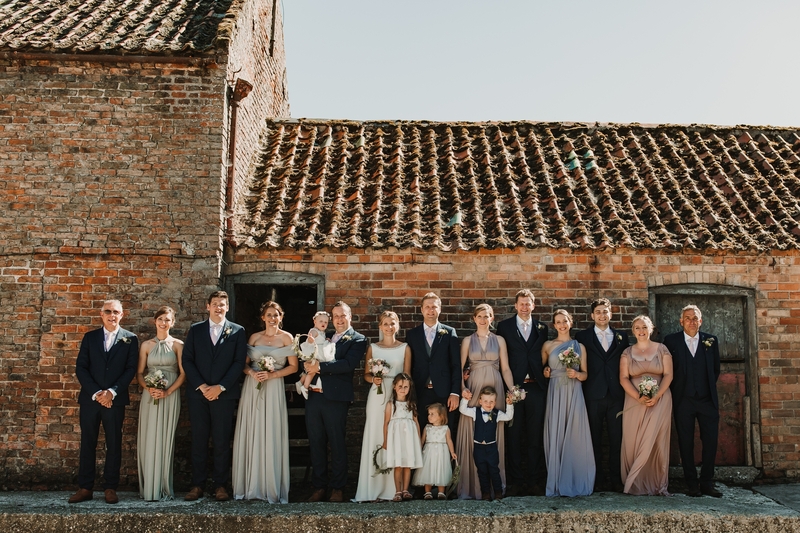 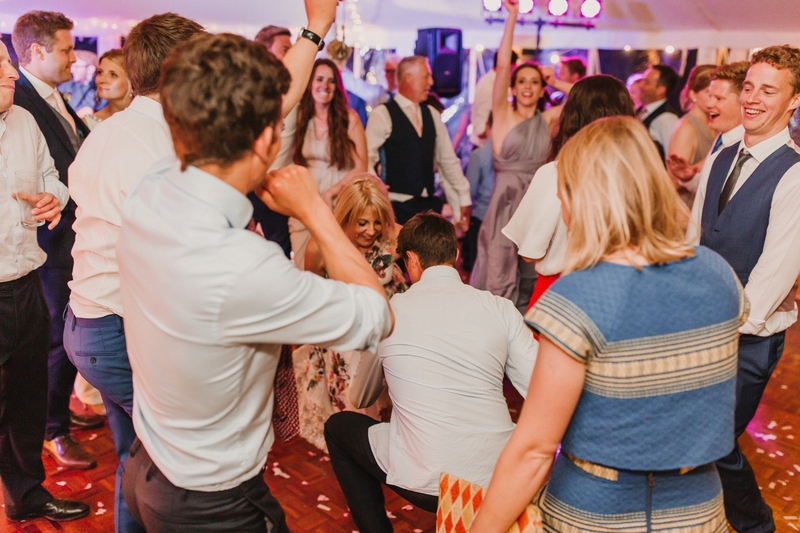 Christina and Lloyd’s York farm wedding was really all about having a chilled space for their close family and friends to enjoy their reception. 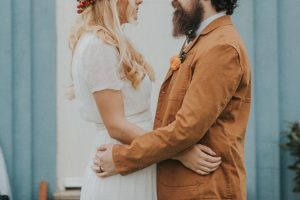 I definitely love the idea of having a wedding at home too. 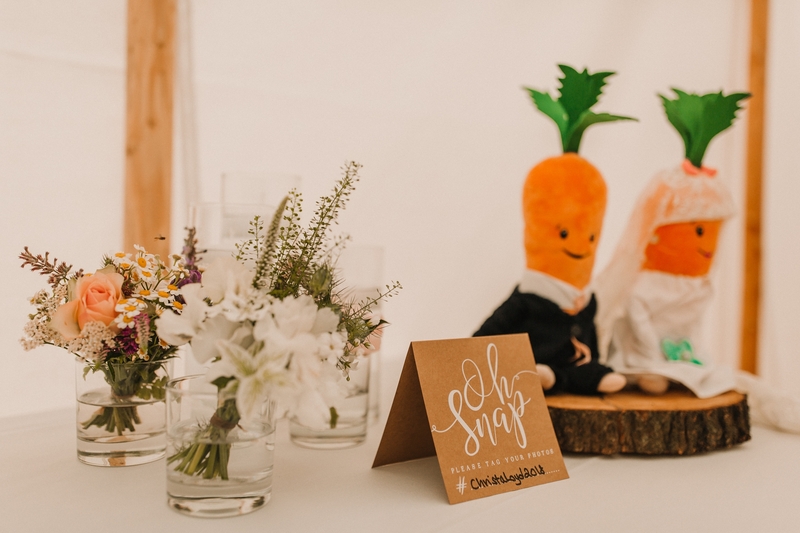 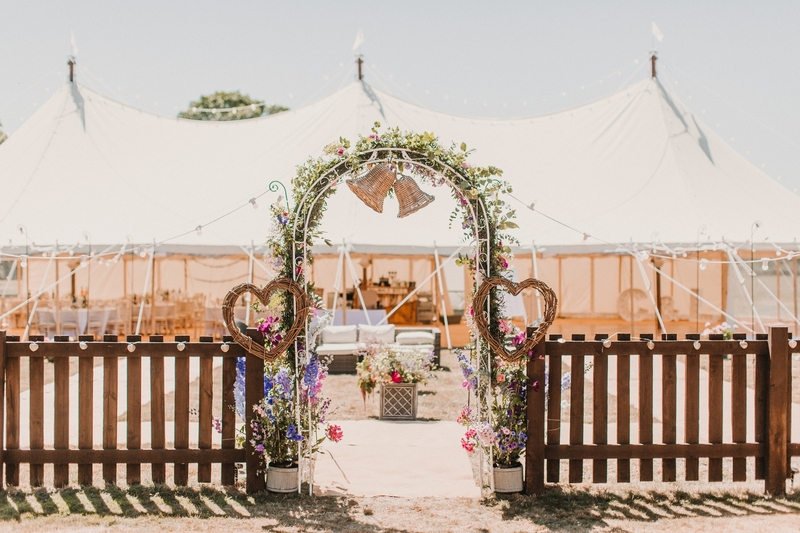 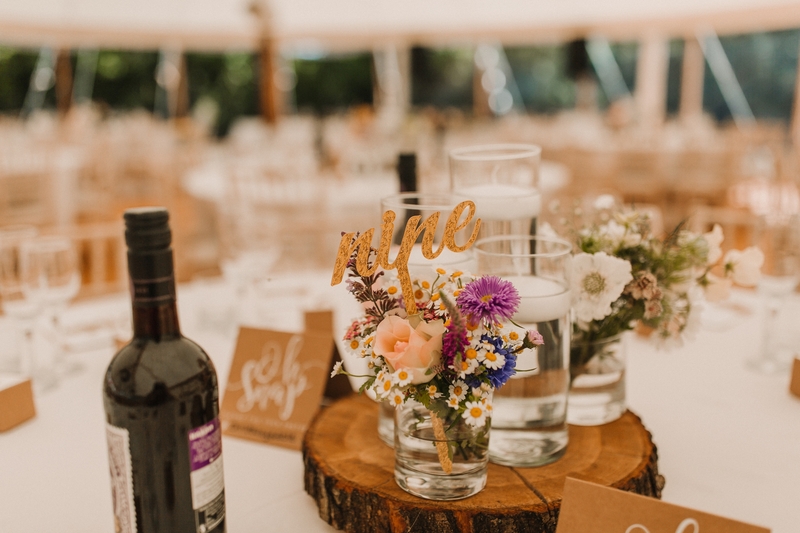 A garden wedding or farm wedding allows you to really create a beautiful space without the restrictions of getting married at a specific venue. 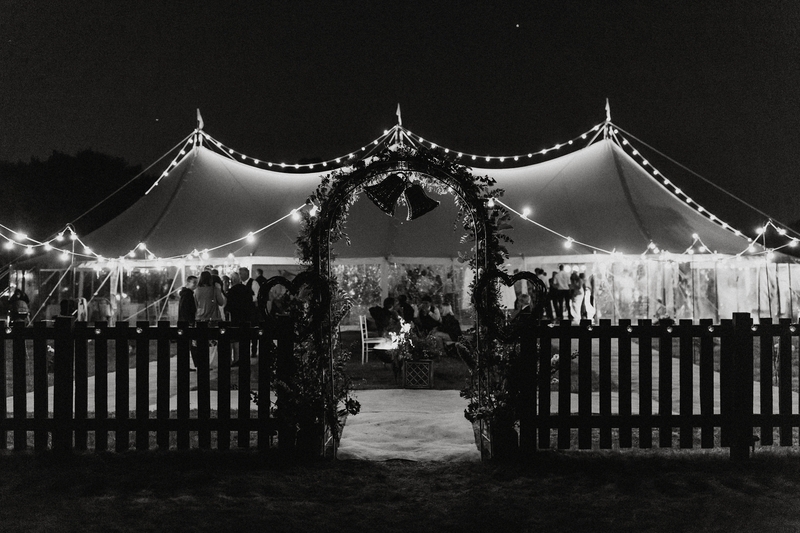 It’s also all about having a space with an indoor and outdoor with firepits and blankets to keep your guests warm. 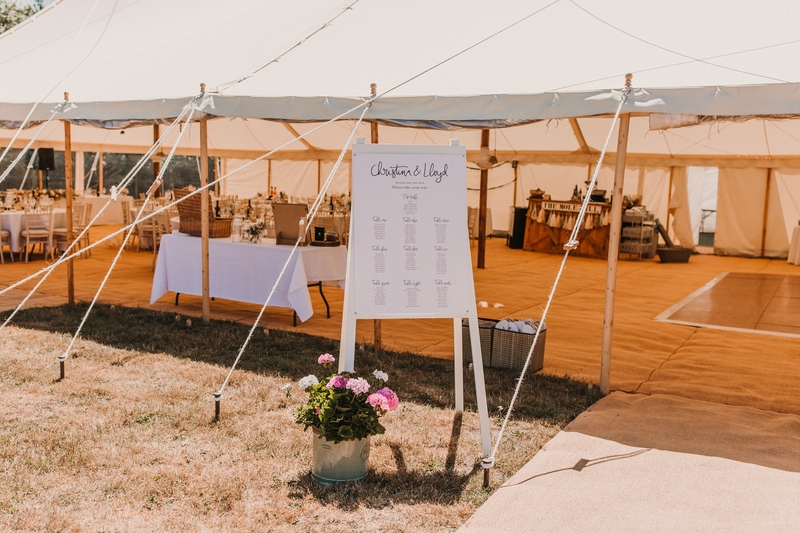 The perfect setting for a summer wedding. 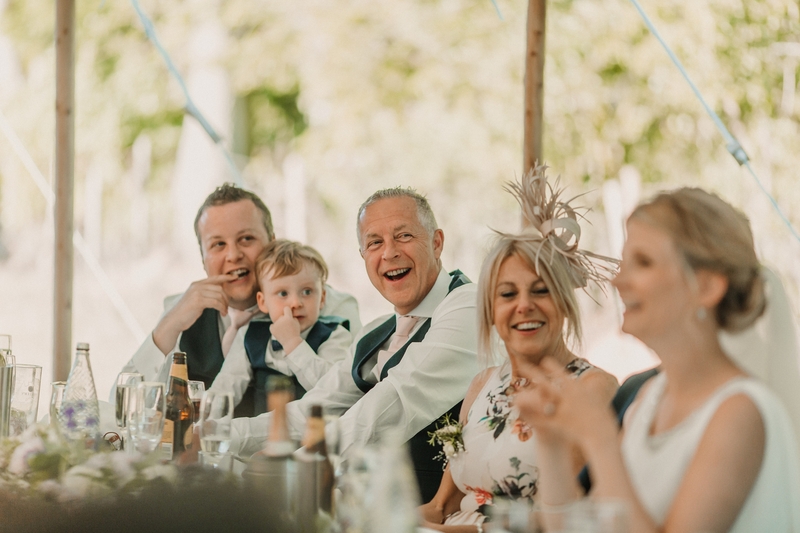 Finally, as a York wedding photographer, my favourite weddings to shoot are relaxed ones. 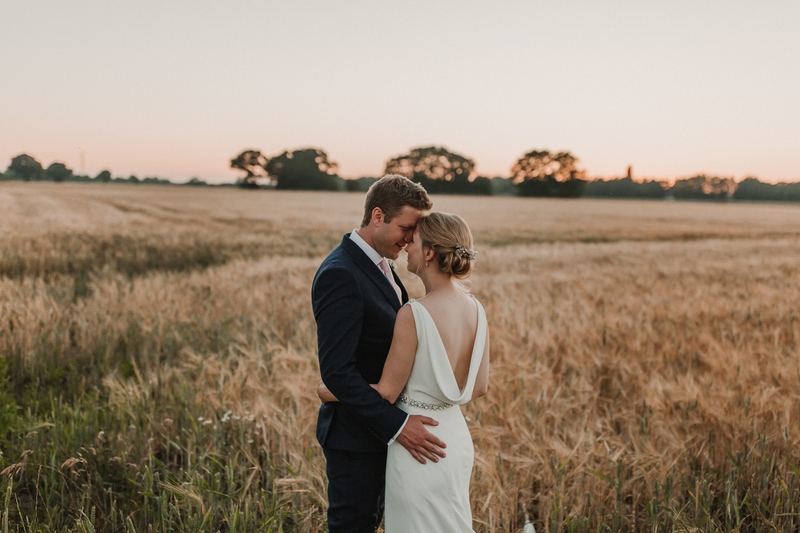 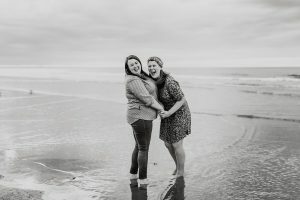 I also love to shoot with couples who are happy to take a bit of extra time for portraits at sunset. 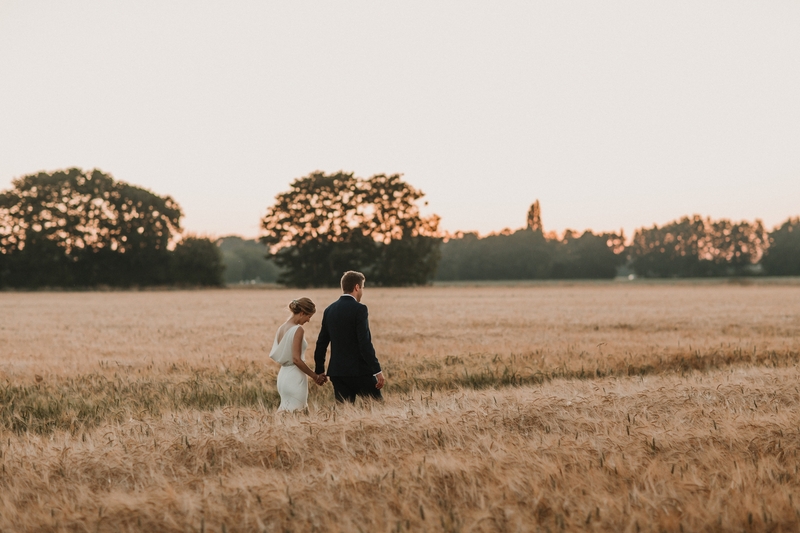 We had a great time shooting their portraits in the wheat field behind their parents’ home. 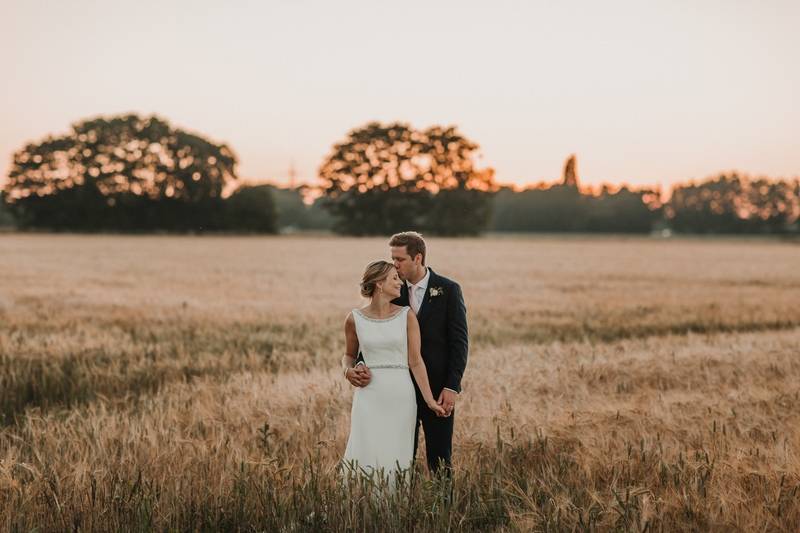 Although most of golden hour had passed, but there was still this spectacular soft light which was perfect to shoot in. 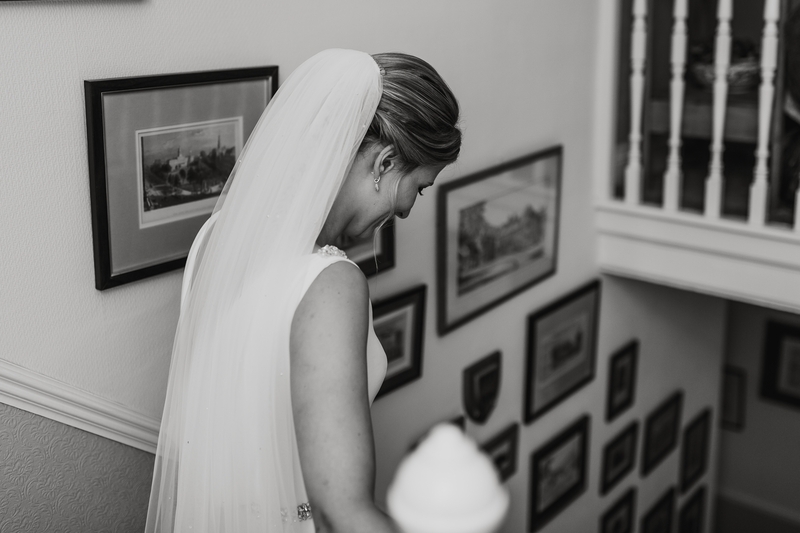 We only took about 15 minutes, but these are some of my favourite photographs from the day. 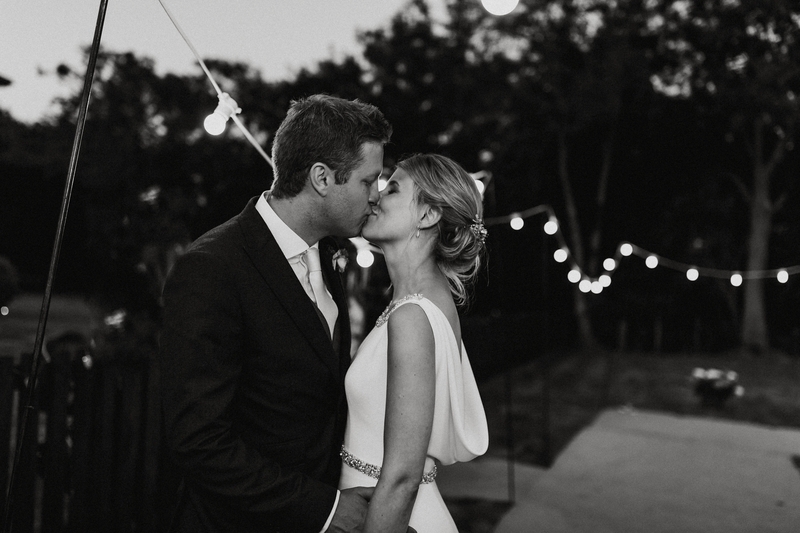 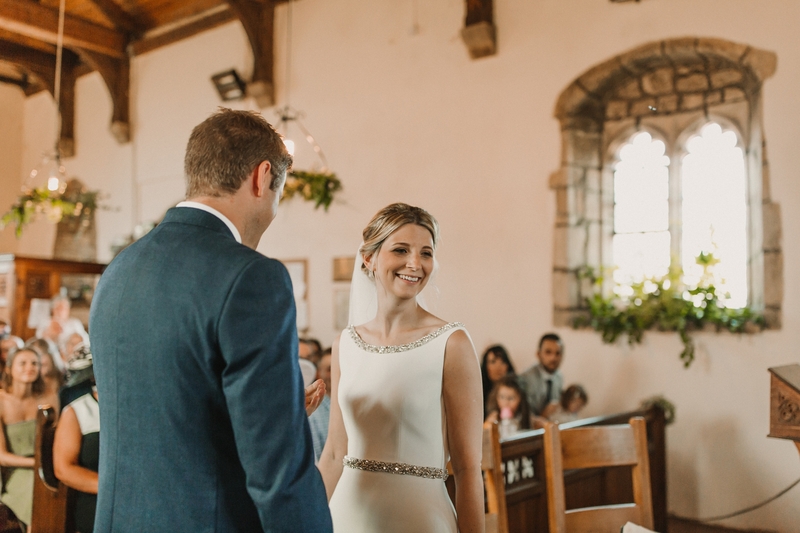 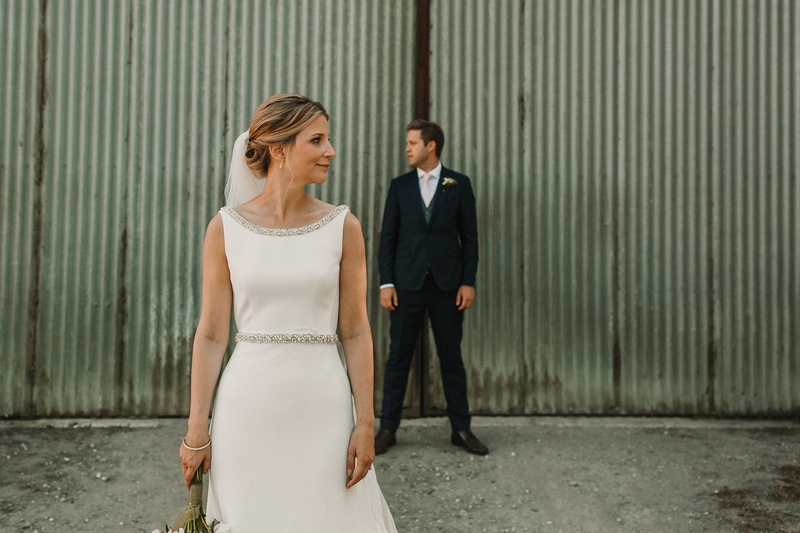 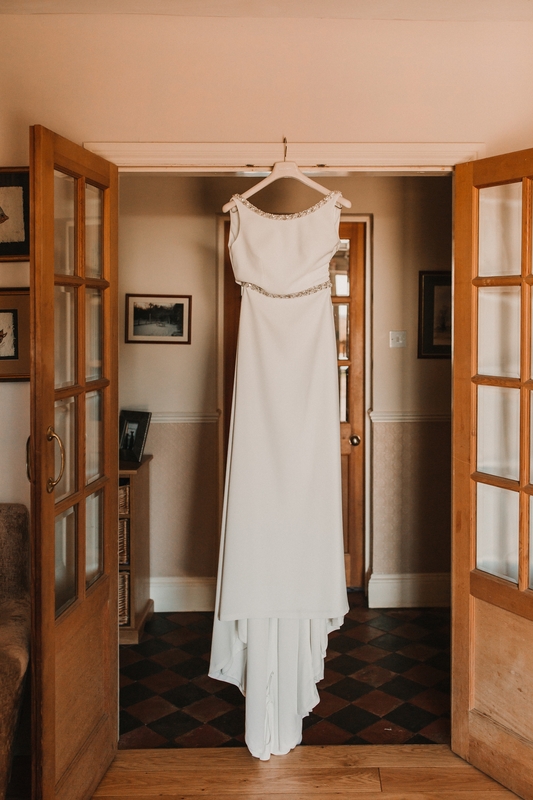 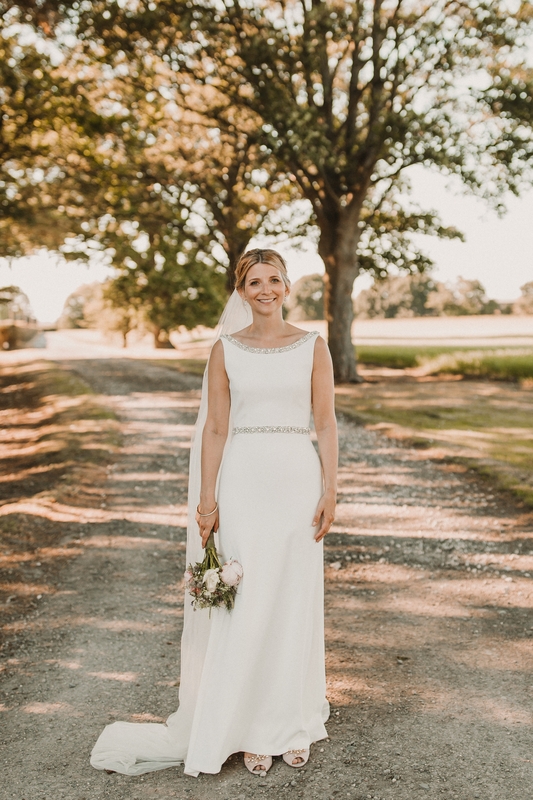 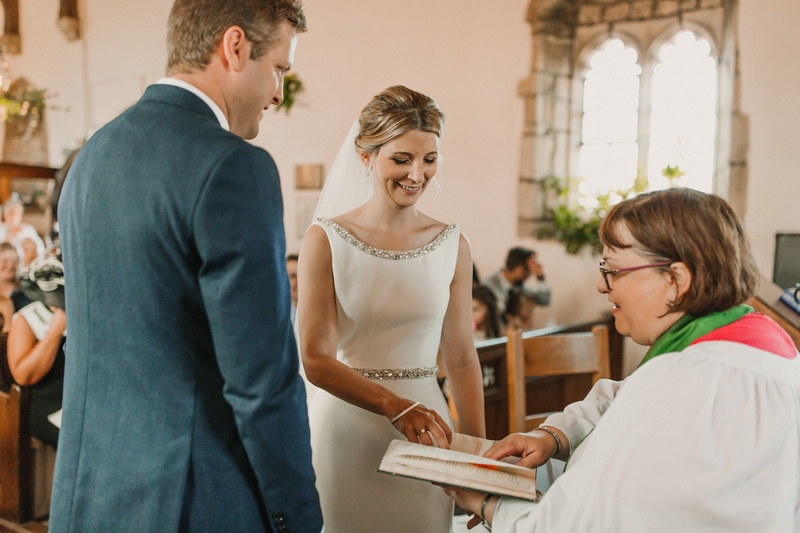 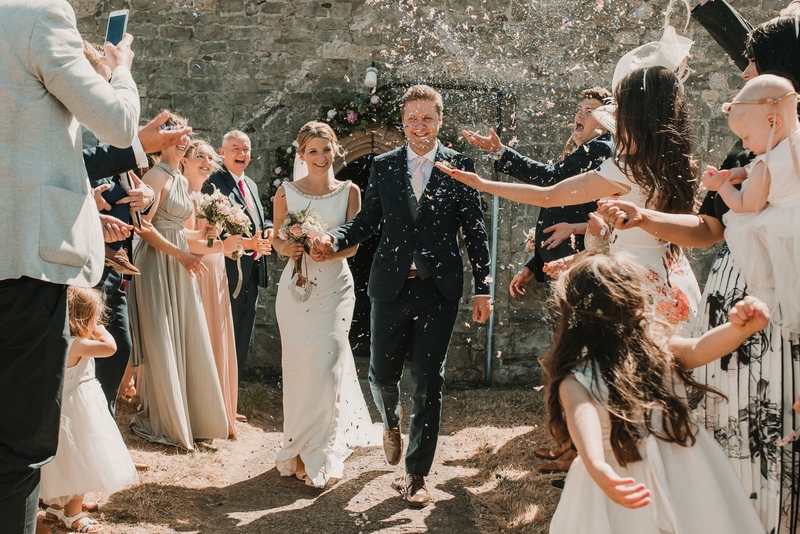 Christina’s dress by Andrea Bambridge was so light and elegant and easy to move in, so it was no difficulty for the couple to walk into the field. 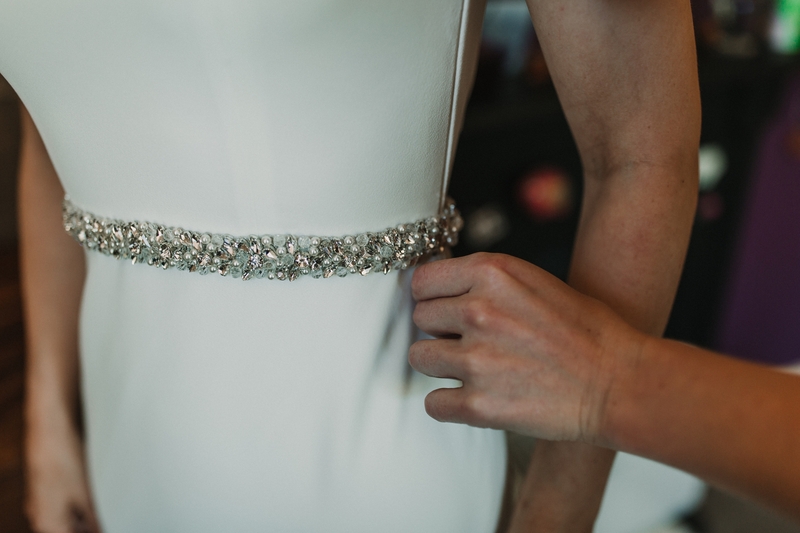 I really loved Christina’s attitude towards her dress too. 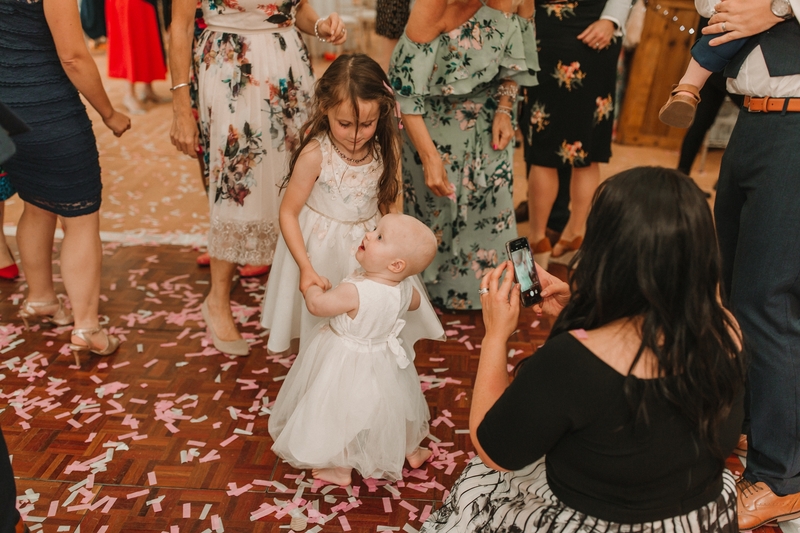 She had purposefully picked a dress where she could easily walk and move in it. 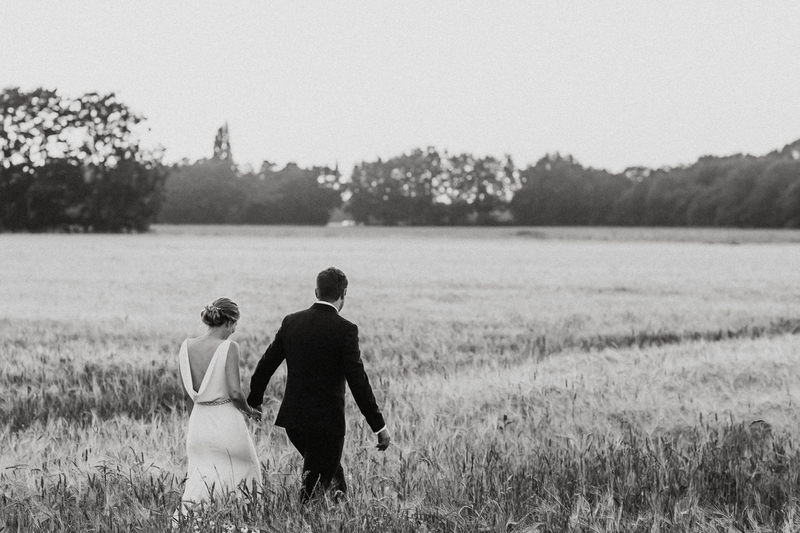 And didn’t care about getting it a bit dirty – they were having their wedding on a farm after all. 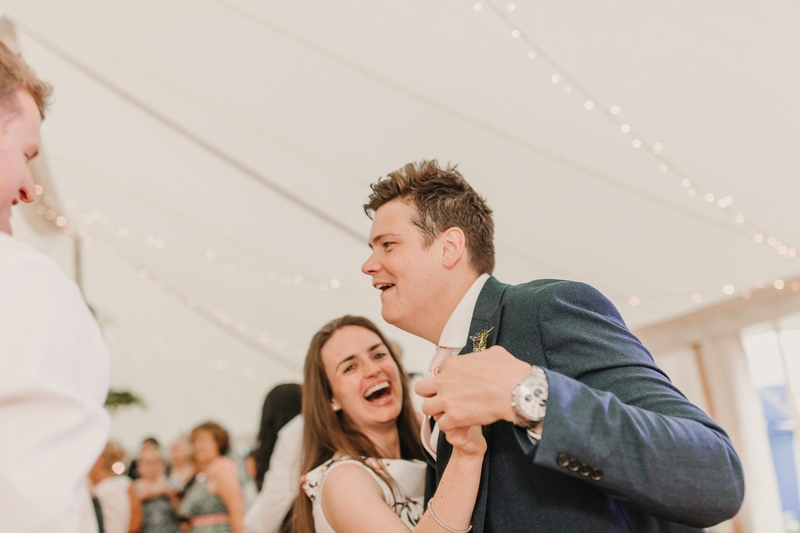 My favourite couples to work with are the ones who are up for it. 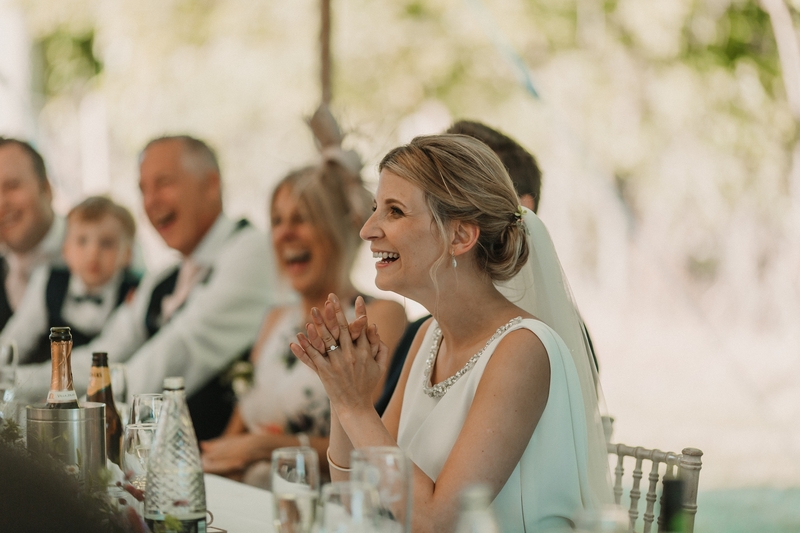 Who don’t mind taking a bit of time for their portraits so I can capture their love and this portion of the day was my favourite. 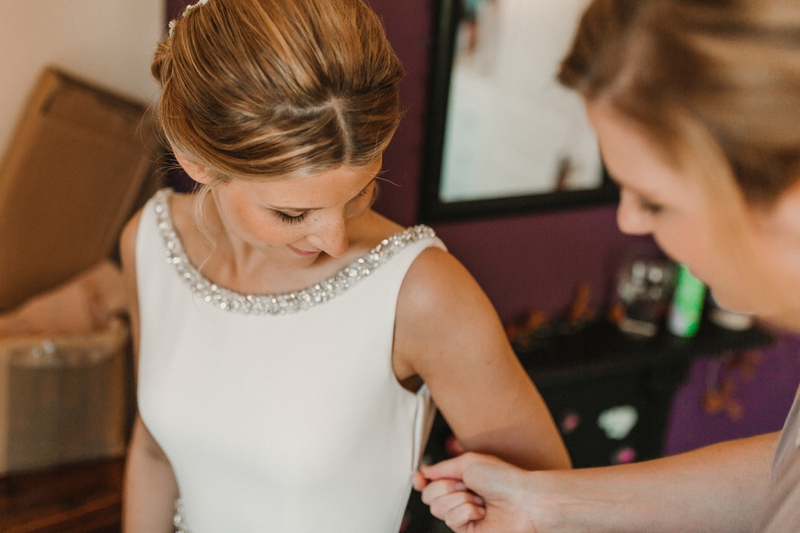 I also had so much help from the amazing Chris Wilzcek Photography. 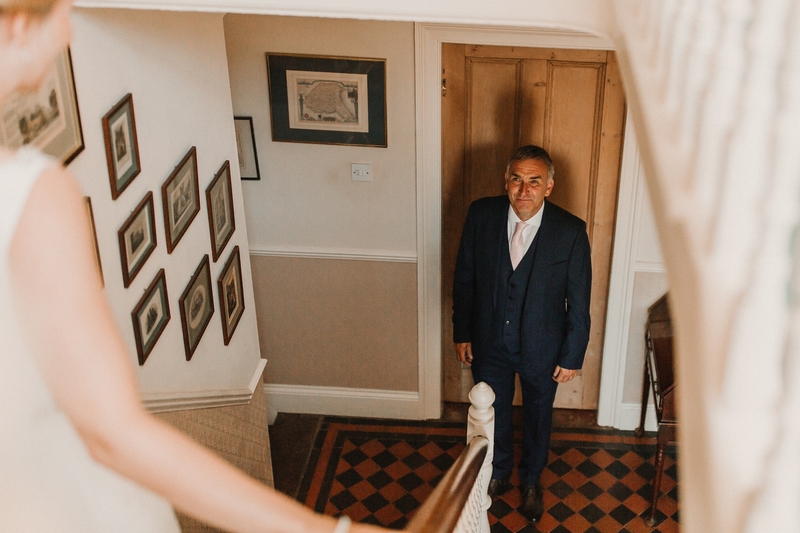 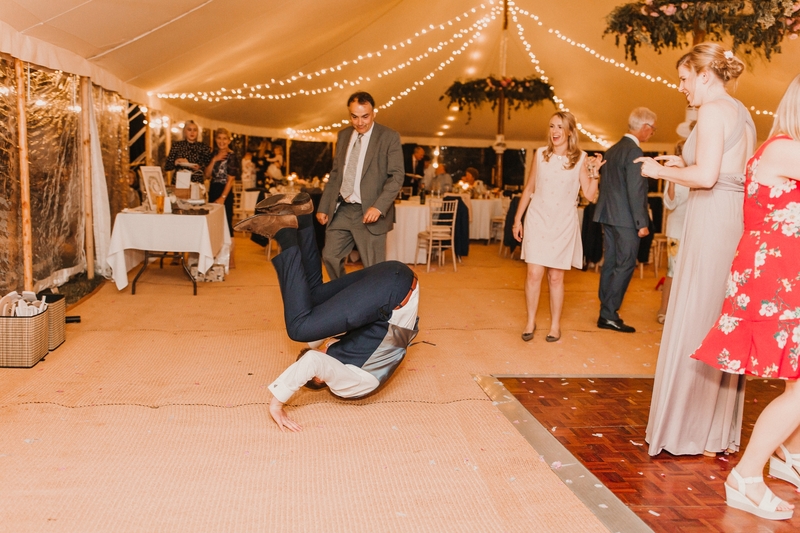 I had hurt my ankle a few weeks prior to this wedding and he did have to do a bit of extra running for me, but as usual he didn’t complain at all. 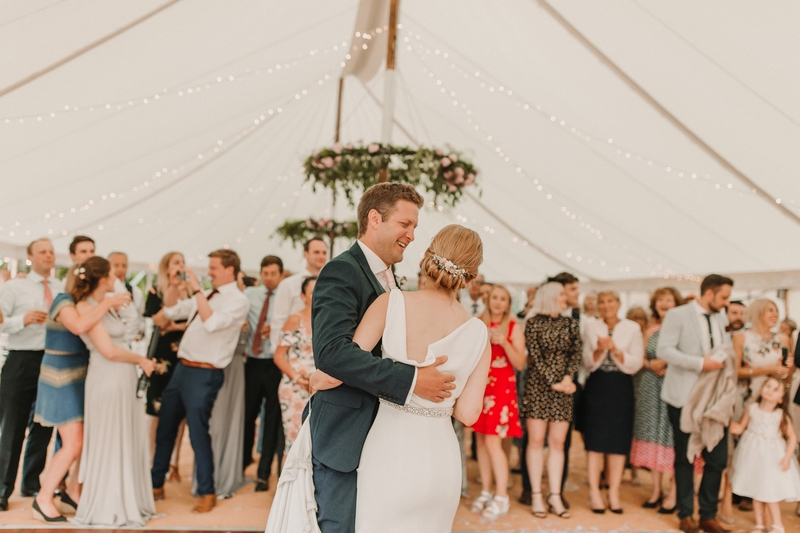 He is one of my favourite professionals to work with when I need a second and he did an amazing job on the day. 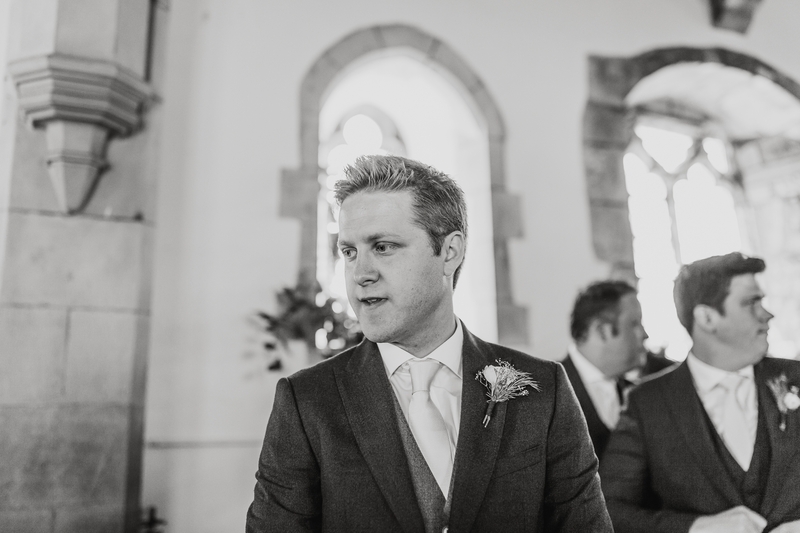 So thank you Chris – you are simply brilliant. 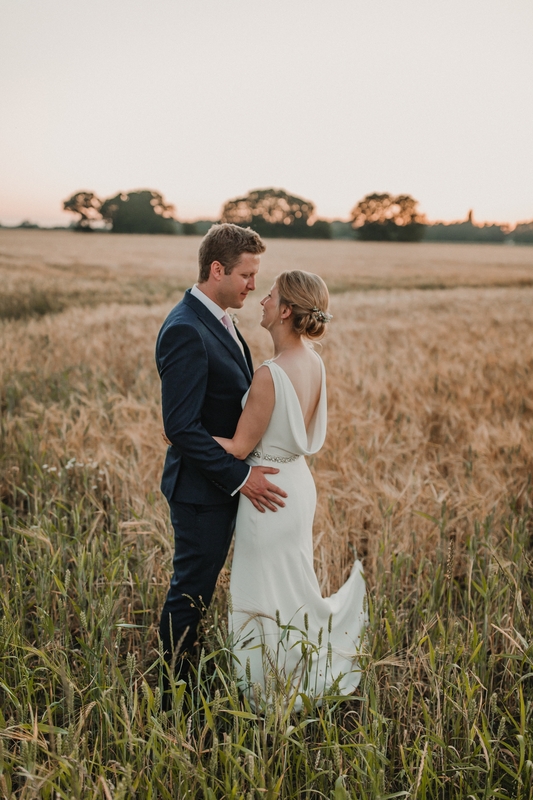 Lastly, if you are having a relaxed wedding and need a York farm wedding photographer or a york wedding photographer, please get in touch in order to find out more about my services.